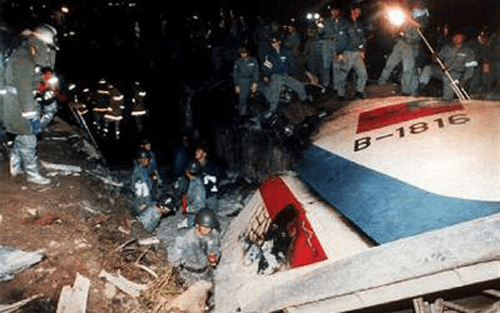 Flight 140 was a regularly scheduled passenger flight from Chiang Kai-shek International Airport in Taipei, Taiwan, to Nagoya Airport in Nagoya, Japan. 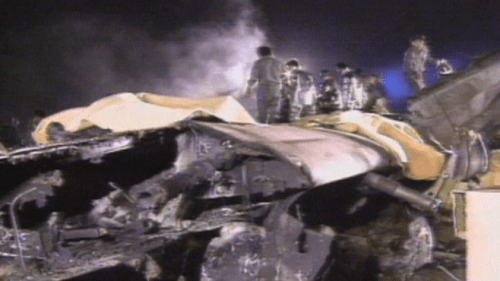 It was the fifth China Airlines’ plane to crash since 1986. On April 26, 1994, the Airbus A300B4-622R was completing a routine flight and approach, when, just before landing at Nagoya Airport, the First Officer inadvertently pressed the Takeoff/Go-around button(also known as a TO/GA) which raises the throttle position to the same as take offs and go-arounds. With insufficient altitude to recover from this condition, the subsequent crash killed 264 people, 15 crew and 249 passengers, of the people aboard. 7 miraculously survived, though critically injured. To date, the accident remains the deadliest accident in the history of China Airlines, and the second-deadliest aviation accident on Japanese soil, behind Japan Airlines Flight 123. It is also the third-deadliest aviation accident or incident involving an Airbus A300, after Iran Air Flight 655 and later American Airlines Flight 587. 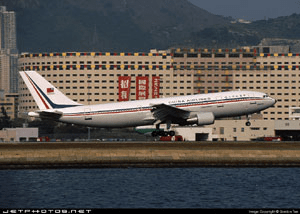 Photo of China Airlines A300 takeoff, copyright Gordon Tan. Flight 140 departed from Taipei International Airport, Taiwan on April 26, 1994 towards its destination of Nagoya Airport, Japan. After initial descent and contact with Nagoya Approach Control, the flight was cleared for the Instrument Landing System (ILS) approach to runway 34 (ILS 34 approach) and was switched to the Nagoya tower frequency at approximately 2007 local time. It was nighttime, and Nagoya airport weather at the time was reported as winds from 280 degrees at 8 knots, visibility of 20 kilometers, cumulus clouds at 3,000 feet and a temperature of 20 degrees Celsius. During the initial phase of the approach, both autopilot systems (AP1 and AP2) were engaged as well as the auto throttles. After passing the ILS outer marker and receiving landing clearance, the first officer, who was the pilot flying, disengaged the autopilot system and continued the ILS approach manually. When passing through approximately 1,000 feet on the approach glidepath, the first officer inadvertently triggered the GO levers, placing the auto throttles into go-around mode, which led to an increase in thrust. This increase in thrust caused the aircraft to level off at approximately 1,040 feet for 15 seconds, and resulted in the flight path becoming high relative to the ILS glideslope. The captain recognized that the GO lever had been triggered and instructed the first officer to disengage it and correct the flight path down to the desired glide slope. While manually trying to correct the glide path with forward yoke, the first officer engaged the autopilot, causing it to be engaged in the go-around mode as well. As he manually attempted to recapture the glide slope from above, by reducing thrust and pushing the yoke forward, he was providing pitch inputs to the elevator that were opposite the autopilot commands to the THS, which was attempting to command pitch up for a go around. The THS progressively moved from -5.3 degrees to its maximum nose-up limit of approximately -12.3 degrees as the aircraft passed through approximately 880 feet. During this period, the first officer continued to apply increasing manual nose-down command through forward yoke control which resulted in increasing nose-down elevator movement, opposite the THS movement, masking the out-of-trim condition. The first officer attempted to use the pitch trim control switch to reduce the control force required on the yoke. However, because pitch trim control of the THS is inhibited during autopilot operation, it had no effect. In a normal, trimmed condition the THS and elevator should remain closely aligned. However, because of the opposing autopilot (nose up) commanded THS and manually commanded elevator (nose down) for approximately 30 seconds, the THS and elevator became “mis-trimmed”. Photo of A300 Cockpit, copyright John Padgett. Passing through approximately 700 feet, the autopilot was disengaged but the THS remained at its last commanded position of -12.3 degrees. Also at this time, due to the thrust reduction commanded by the first officer, the airspeed decreased to a low level, resulting in an increasing angle of attack (also termed alpha, or AOA). As a result, the automatic alpha floor function of the aircraft was activated, causing an increase in thrust and a further pitch-up. The alpha floor function of the A300 is an AOA protection feature intended to prevent excessive angles of attack during normal operations. Because of the greater size of the THS relative to the elevator (approximately three times greater in terms of surface area), the available elevator control power or authority was overcome as the aircraft neared 570 feet on the approach. Upon hearing the first officer report that he could not push the nose further down and that the throttles had latched (alpha floor function engaged), the captain took over the controls, unaware of the THS position. Upon assuming control, the captain initially attempted to continue the approach, but was surprised by the strong resistive force to his full nose-down control inputs. He retarded the throttles in an attempt to recapture glide slope. Unable to control the increasing nose-up pitch, which had reached 22 degrees, he called for the GO-lever shortly thereafter in attempt to execute a go around. The increasing thrust added additional nose-up pitch moment and resulted in an uncontrolled steep climb, as airspeed continued to decrease and AOA continued to rise. During the attempted go-around, the captain only operated the pitch trim briefly, indicating he was unaware of the mis-trimmed position (extreme nose-up) of the THS. 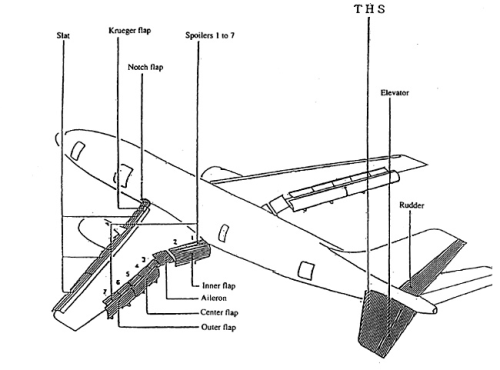 Furthermore, flaps/slats had been retracted two positions (30/40 to 15/15) to the go-around setting, which increased the airplane pitch up and reduced the stall margin. 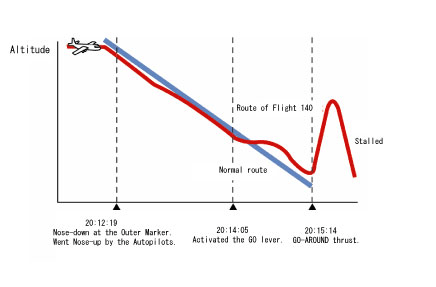 The aircraft continued to climb steeply up to 1,730 feet with AOA rapidly increasing and airspeed decreasing, reaching a maximum pitch angle of approximately 53 degrees until the stall warning and subsequent stall. 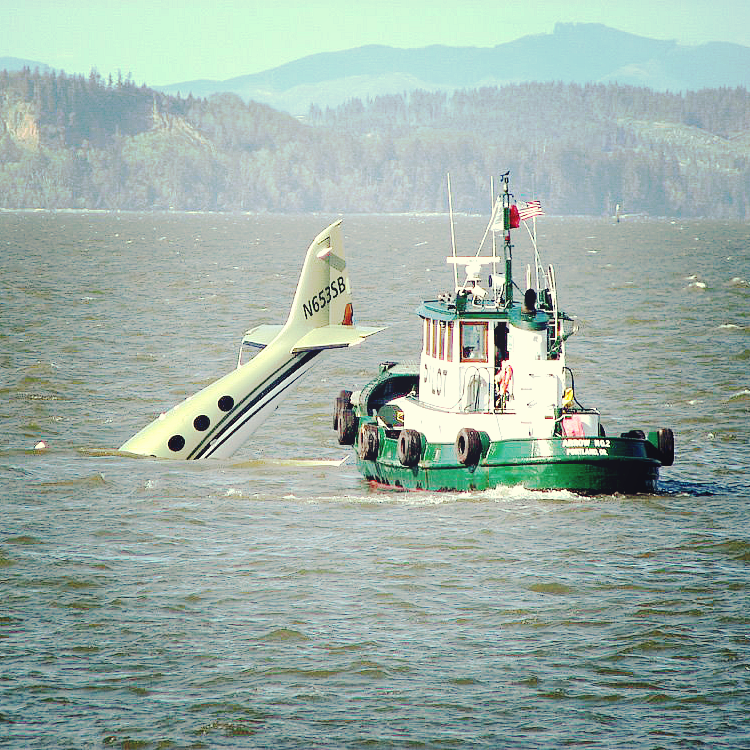 Once stalled, the aircraft nose lowered to a steep dive and the captain applied full aft yoke in an attempt to recover from the dive; however, the aircraft remained stalled until impact. The captain, Wang Lo Chi, radioed ‘Going around’, indicating that he was aborting the landing and about to turn for another attempt. The tower responded ‘Roger, stand by for further instructions.’ This was the last contact with China Airlines Flight 140. Thirty seconds later, it crashed in a ball of flames to the right of the runway. 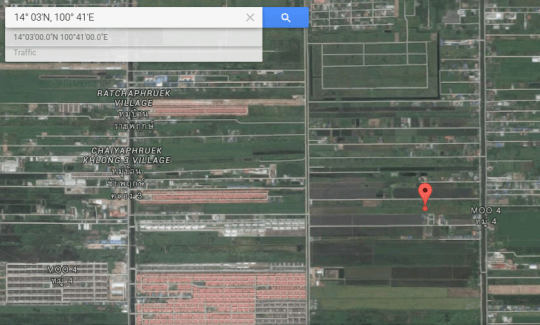 An animation of the accident flight path and factors which contributed to the accident are available here. The plane went down tail first, and burst into fire. The impact occurred at approximately 15:45. Parts of this information is sensitive in nature. Proceed with personal caution. Jet fuel poses a relatively small danger to the environment, according to reports of course, because “(1) it evaporates relatively quickly, and (2) it is almost insoluble in water and floats on the surface of water (hence it causes minimal underwater damage). On land free liquid is collected, then efforts are made to encourage evaporation and biodegradation. Rescue workers searching for survivors after the China Airlines Airbus A300 on a flight from Taiwan crashed at Nagoya airport, in central Japan. (Associated Press) Maps show the location of Nagoya, Japan. Junji Nagamori, head of a local fire department, said he arrived at the scene about 15 minutes after the crash. “I could see many dead people lying on the ground,” he said. Mr. Nagamori said that rescuers carried out people who seemed like they would have a chance to survive. He said that many of the bodies were burned beyond recognition. At approximately 2016 of that day, the Controller informed the Fire Fighting Platoon via an emergency telephone that “a China Airlines’ aircraft has burst into flames on the runway” and requested fire services. The Fire Fighting Platoon dispatched three chemical fire vehicles around 2017. The Fire Fighting Platoon personnel, who were at their standby station, had not heard the impact sound of the aircraft crash. Upon receipt of the report, two chemical fire vehicles left the station and sped along Taxiway E4 and the runway to the southern end of the airport where flames and smoke were billowing in the air. About 2019, another chemical fire vehicle arrived at the site via Taxiway EP 1. The aircraft had fragmented into pieces, losing its original shape so badly that the only way to distinguish the wings was by identifying the vague shape of the engines. Fire broke out, and flames as high as a three-storied building enveloped an area more than 100 meters wide. Booming sounds were heard three times at internals. Going into action immediately, the Fire Fighting Platoon, staying clear of widely scattered aircraft fragments, advanced to about 20 meters from the wing and discharged fire extinguishing agents. At approximately 2027, a chemical fire vehicle, a water tank truck and a ladder truck from the Fire Fighting Headquarters of Nishikasugai County East Fire Fighting Association, plus two chemical fire vehicles and two water tank trucks from the Kasugai City Fire Fighting Headquarters arrived at the crash site and went into action. Flames under the wings, however, did not abate easily. About 2030, a second party dispatched by the Fire Fighting Platoon, consisting of two chemical fire vehicles, one water supply truck, one ordinary fire vehicle, one cargo truck and so on arrived at the site. They backed up the chemical fire vehicles that had arrived earlier and provided them with additional water and fire extinguishing agents. Around 2042, a chemical fire vehicle and a water tank truck from the Komaki City Fire Fighting Headquarters arrived at the crash site and joined the fire extinguishing activities. Later, about 2054, a chemical fire vehicle from the Nagoya City Fire Fighting Bureau arrived at the site and also joined the fire fighting activities. About 2110, aircraft components smoldering near the irrigation water channel were cut open with axes and tobiguchi (fireman’s hooks) and sprayed with agents and water. The fire was finally extinguished around 2148. After confirming the crash site, the personnel from the Self-Defense Force, Neighboring Fire Fighting Organizations, Police, and Airport Office conducted search and rescue activities throughout the area. Ambulances from Komaki Air Base arrived at the crash site at about 2019 and 2023. At about 2027, ambulances and other vehicles from the Fire Fighting Headquarters of Nishikasugai County East Fire Fighting Association and the Kasugai City Fire Fighting Headquarters entered the airport through the No.2 West Gate and, upon arriving at the site, commenced search and rescue operations promptly. At approximately 2031, ambulances from Nagoya City Fire Fighting Bureau entered the airport through the No.2 West Gate and proceeded to the crash site. Upon arrival, the ambulance men started confirming whether there were any survivors and conducting first aid to the injured. Actual work to confirm the presence of survivors began about 2032. However, flames raging in the central part of the fuselage hampered search and rescue activities. A male passenger was found around 2035, and two female passengers and an infant were removed from the site about 2037. These four people were carried to hospital in an ambulance from Komaki Air Base. Around 2042, ambulances from the Komaki City Fire Fighting Headquarters entered the airport through the main gate of Komaki Air Base and commenced search and rescue activities. Two injured passengers, who had received first aid from the rescue personnel assigned to a Nagoya City Fire Fighting Bureau ambulance, were rushed to hospital. Around 2049, an ambulance from the Fire Fighting Headquarters of Nishikasugai County East Fire Fighting Association carried three passengers to hospital. Around 2055, two ambulances from the Kasugai City Fire Fighting Headquarters took three passengers to hospital. Around 2100, a male passenger about 40 years old, trapped between seats, was rescued by removing the seats with a power cutter. A female passenger about 35 years old was also rescued. Those two passengers were carried to hospital in an ambulance from the Kasugai City Fire Fighting Headquarters. Around 2100, a male child passenger was taken to hospital in an ambulance from the Fire Fighting Headquarters of Nishikasugai County East Fire Fighting Association. At approximately 2122, an emergency medical treatment and transport vehicle arrived at the crash site. Around 2124, an ambulance from Nagoya City Fire Fighting Bureau carried a male passenger to hospital. Around 2140, rescue teams began setting up rescue stations (three air tents). Around 2148, the fire was finally extinguished. Wreckage was pulled up from the irrigation water channel with cranes and other equipment, and the search for missing persons continued. From about 2220 the remains found around the wings and the irrigation water channel were taken to the rescue stations (air tents). On request from the Airport Office Administrator, troops of 10th Division, with Ground Self-Defense Force, from Monyama Base, arrived at the site about 2225, and commenced search and rescue activities. Around 2325, the remains of persons considered to be crew members were found near the cockpit and taken to a rescue station (air tent) set up near the crash site. Around 0445 on April 27, transfer of remains from the rescue stations (air tents) to Hangar No. 1 at Komaki Air Base, for temporary storage, started. Around 1340, the final remain was transferred from the site. On April 26, based on a decision made at a cabinet meeting immediately after the accident, Japan’s national government established “China Airlines Aircraft Accident Countermeasure Headquarters”, with the Minister of Transport as its head. The government decided to spare no effort in rescuing survivors, recovering the remains and keeping close contact with the organizations involved. Immediately after the accident, the Airport Office set up “Accident Emergency Countermeasure Headquarters” with the Airport Office Administrator as its head and mobilized 119 employees through emergency call. The Airport Office also organized “Nagoya Airport Aircraft Rescue Unit” and conducted its activities using the following personnel, materials and equipment: 406 personnel (including 102 of Rescue Unit and other airport personnel concerned), 28 vehicles (including an emergency medical treatment and transport vehicle) and 3 air tents. With a request from the Airport Office Administrator for disaster dispatch immediately after the accident, the 10th Division of Ground Self Defense Force and the 1st Air Transport Squadron of Air Self-Defense Force participated in the rescue and other activities by providing 1,900 personnel (1,200 at the site and 700 for backup duties), 25 vehicles and 16 floodlight projectors. In accordance with the “Agreement on Medical Treatment and Rescue Activities at Nagoya Airport” made with the Airport Office, the Aichi Prefecture Medical Association conducted their rescue activities by providing 64 personnel (47 doctors and 17 nurses) and 164 on standby (76 doctors, 51 nurses and 37 clerks and others). The Aichi Prefecture Branch of Japanese Red Cross Society conducted activities, including autopsies, post-mortem examinations, reconstruction, cleansing and identification, by providing 102 personnel (14 doctors, 55 nurses and 33 clerks and others). The Aichi Prefectural Police Medical Association performed post-mortem examinations by providing 79 personnel. The Aichi Prefecture Dental Association was engaged in identification activities by providing 134 personnel (107 dentists, 7 dental hygienists, and 20 police doctors). Upon receipt of the accident report from the Airport Office immediately after the crash, the Aichi Prefectural Police Headquarters conducted rescue activities and policed the site of disaster by providing 1,700 personnel (1,100 dispatched and 600 others). According to the Houston Chronicle archives, more than 300 family members of Taiwanese killed in the crash returned home to Taipei by Saturday, April 30, with many carrying the ashes of their loved ones. The plane was carrying 271 passengers total: 2 flight crew members, 13 cabin crew members and 256 passengers, including 2 infants. Most of the passengers were Taiwanese and Japanese; 153 Japanese and 101 non-Japanese were on the flight. Most of the Japanese passengers were returning from package tours. An official from the airline said that 63 of the passengers were Taiwanese. Of the 271 persons aboard –256 passengers and 15 crew members –16 passengers were taken to hospital by ambulance. Six of them were found dead on arrival at the hospitals. In addition, three passengers died after hospitalization, on April 27, April 28, and May 1, respectively. Seven passengers survived – all of them had been seated in Rows 7 through 15. Four had been in the right block of seats, two in the center block, and one in the left block. At the time of hospitalization, all seven survivors were suffering from traumatic shock to various degrees. Various external wounds, primarily bone fractures caused by the impact, were found among the survivors, the locations of which differed from one to another. According to the diagnosis, those serious injuries would take from two months to a year to heal completely. According to the autopsy reports, a great number of the remains were bruised all over and had suffered multiple fractures caused by the impact. Nearly half of the remains had been burnt to various degrees. The captain, Wang Lo-chi, was aged 42, with a total flight time of 8,340h and 19m, of which 1,350h and 27m were flown on the A300-600R type. 71h and 11m were flown in the 30 days prior to the accident. The captain joined the company in February 1989. The co-pilot, Chuang Meng-jung, was aged 26, with 1,624h and 11m flight time, with 1,033h and 59m on the A300-600R type. 71h and 53m were flown in the 30 days leading up the impact. His last training emergency procedure was a day before the captain’s on September 14, 1993. He had a 39 hour rest period before the flight, compared the captain’s 15h and 30m rest period. The co-pilot joined the company on April 16, 1990. The captain’s body had open wounds running from the right shoulder to the right breast. Open wounds were also found from the left breast to the left abdomen of the first officer’s body, and his stomach and intestines were damaged. Open damage was barely noticeable on the breast and abdomen of the purser’s body. The three remains were placed in Hangar 1 of the Komaki Air Base immediately after their recovery. Later, no special measures, such as preservation by freezing, were taken for the remains prior to their transfer to three medical colleges/university for judicial autopsies. Eighteen to twenty-two hours elapsed from the time of the accident to the transfer of the remains to the autopsy sites. During this period, the lowest and highest temperatures at Nagoya Airport were approximately 1 0°C and 23°C, respectively. The temperature in Hangar 1 of the Komaki Air Base, where remains were placed, is considered to have been “somewhat higher than the value above”. Judicial autopsies and extraction of samples for alcohol reaction tests (times are JST). A post-mortem examination was conducted on the captain’s body at a dissection room of legal medicine at Department of Medicine, Nagoya University, between 17:55 and 23:00 on April 27. Test samples were taken from the thoracic cavity, using an anatomical spoon, in a period between 20:00 and 21:00. Some 24 to 25 hours had elapsed from the time of the accident to when the samples were taken. A post-mortem examination was conducted on the first officer’s body at a dissection room of legal medicine and pathology at Aichi Medical College, between 14:00 and 17:00 on April 27. Test samples were taken from the thoracic cavity with an anatomical spoon at about 15:00. This was done approximately 19 hours after the time of the accident. A post-mortem examination was conducted on the purser’s body at a dissection room of legal medicine at School of Medicine, Fujita-Gakuen Health College, between 14:00 and 17:00 on April 27. Test samples were taken from the heart, using an anatomical spoon, about 15:30, approximately 19 hours after occurrence of the accident. The test samples taken from the three remains were immediately placed in special plastic containers and sealed. After dissection, technical officers from Aichi Prefectural Police Headquarters, who had witnessed the dissection, took the samples to Scientific Investigation Laboratory of Aichi Prefectural Police Headquarters for storage in a refrigerator. The concentration of ethanol in each of the test samples was as follows: (a) CAP: 13mg/l00ml (b) F/O: 55mg/l00ml © Purser: No ethanol detected. The next day on April 27, 1994, officials said there were ten survivors (including a 3-year-old) and that a Filipino, two Taiwanese, and seven Japanese survived. By May 6, only seven remained alive, including three children. A doctor expressed surprise in response to the survival of two of the children. All seven passengers who survived the accident were seated in rows 7 through 15. On Thursday April 28, 1994, The Independent ran an article on three children, two of them brothers, who were among “the nine survivors of the crash” at the time (sadly, two of these survivors would not make it much longer, with a tenth survivor having died in a hospital just the previous night). The nine survivors at this point had all been seated in the front of the cabin. This article contains sensitive information. Read italicized paragraph with caution. The two brothers, Yuji and Seiji Nakayama, six and three years old, were travelling with their mother and uncle, who both died. Their father, Tatsumi, who was waiting at the airport, said it was ‘perhaps a miracle of God’ that they survived. Sadashige Kikuyama, a fireman who rescued one of the boys, said he was trapped under one of the plane’s tyres. ‘I just happened to hear this faint call of a boy saying ‘Mama, mama, it hurts’. Both boys are in hospital, but doctors said they were expected to recover. It is highly debated if children are more likely to survive plane crashes. The last death attributed to the accident occurred on May 6. The Airbus A300B4-622R, registered B-1816, was owned by China Airlines, based in Taiwan. Air China is the standard-bearer for the People’s Republic of China. Eyewitnesses interviewed shortly after the accident disagreed over whether the plane had an engine fire before it crashed, but all said the plane was pulled up at a very steep angle before crashing backwards onto its tail. Some witnesses quoted on television also said they saw flames shooting out of the engines. Some reports said the plane apparently tried to abort the landing and take off again, but failed. 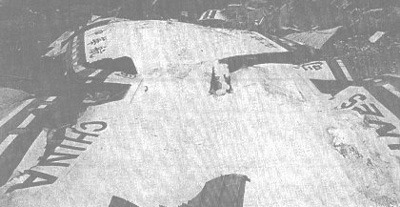 Aerial photographs of the crash site showed the impact mark of the tail, apparently confirming that the plane had stalled after attempting to climb too steeply. Masumi Inazumi, who had just arrived on another flight and was in a bus to the terminal, told a television station that she had watched the China Airlines plane descend. Another witness, Minoru Furuta, told a television station that he saw “flashes from the two wings.” The plane rolled to the right and crashed on its right side, he said. Then he saw flames and heard explosions. The weight of the aircraft at the time of the accident is estimated to have been approximately 290,900 lbs, with its center of gravity at 30.6% MAC, both being within permissible limits (maximum landing weight being 308,651 lbs, with the allowable range of center of gravity corresponding to the weight at the time of landing, 20.0 to 33.6% MAC). According to the Flight Clearance and Log of China Airlines, the aircraft loaded approximately 50,7OOlbs of fuel before takeoff The amount of fuel remaining at the time of the accident is estimated to have been approximately 22,000lbs. The fuel on board was JET A-1, and the lubricating oil was Esso Turbo Oil 2380 (MIL-L-23699), both being authorized for aircraft use. You can read an entire factual description of what happened to the plane here, in the final report. Due to the impact of the crash, the wreckage of the aircraft, except the RH and LH wings, the vertical and horizontal tail planes, the tail section of the fuselage, and the engines, was scattered over an approximately 140 meters long and 60 meters wide area to the east-northeast of the LH main landing gear’s ground scar. Fragments of the destroyed skin of the nose and forward fuselage sections were strewn over an approximately 40 meters long and 30 meters wide area, some 120 meters away from the LH main landing gear’s ground scar to the east-northeast direction. No signs of damage by fire were found on the nose and forward sections of the fuselage. The lower skin of the fuselage center and aft sections, almost entirely fragmented, were scattered over an approximately 40 meters wide area that extended approximately 60 meters to the east-northeast from the LH main landing gear’s ground scar. Other parts of the center and aft fuselage sections except a part of the skin, were almost entirely ruined by fire. The wings, ripped from the fuselage, were found at a point approximately 80 meters to the east-northeast of the LH main gear’s ground scar. The LH outer wing was torn from the wing, and the RH outer wing, broken into several fragments, was also separated from the wing. They were burnt and discovered near the wings and the water gate, respectively. The LH engine was torn from the wing pylon and was found near the wing, while the RH engine remained barely attached to its pylon. The fan hubs of both engines were broken and detached. The horizontal tail plane and tail cone were broken and torn from the fuselage, and were found at a point approximately 30 meters to the east-northeast of the LH main landing gear’s ground scar. The vertical tail plane was broken and separated from the fuselage together with the upper rear part of the fuselage. It was burnt and found over the irrigation water channel approximately 65 meters to east-northeast of the LH main landing gear’s ground scar. An approximately 50 meters long and 20 meters wide scorch mark of fire were detected on the ground, each extending to the east-northeast from the vicinities of the ground scars of the LH and RH wing flap tracks, and the trees near the water gate were burnt. Signs of fire were also detected on the ground near where the wings were found. A stretch of the lawn under cultivation in the landing zone was burnt and flowed off within an approximately 10,300 m2 area. The protection wall of the irrigation water channel at Komaki Air Base of the Air Self-Defense Force (hereinafter referred to as “Komaki Air Base”) was destroyed over a length of 30 meters, and the water gate was damaged. Of the trees in the soundproofing tree fence in the Komaki Air Base, those within an approximately 2,000 m2 area were burnt. 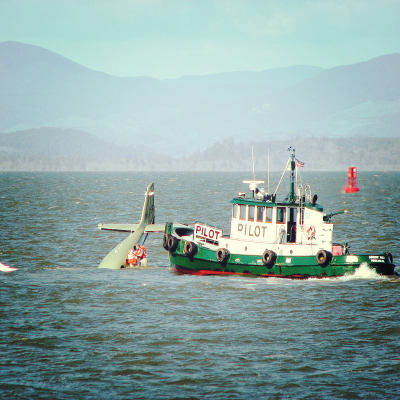 Questions about the crash focused on two issues: Why did the pilot try to abort his landing? And once he decided to make a second approach, why did the airplane lose power and crash about 200 yards short of the runway? The incident, which destroyed the aircraft (delivered fewer than 3 years earlier in 1991), was attributed to crew error for their failure to correct the controls as well as the airspeed. Isao Kuroda, professor of aeronautics at Waseda University, said that to abandon a landing with the Airbus A300, a pilot presses a lever that automatically puts the jet into what is called “go-around mode.” That quickly increases the engines thrust and causes the plane to begin climbing. If the plane is also in autopilot mode, the rate of climb is automatically controlled. If not, it can rise too sharply and stall. Two witnesses quoted on NHK television said the aircraft’s approach was higher than usual, which could mean the pilot feared that he would overshoot the correct landing spot. The investigation concluded that effective crew resource management was not practiced by the crew. Areas identified by the investigation involved task sharing, standardization of terms used for instruction, response, confirmation and execution of operations, in order to assure that crews maintain appropriate situational awareness. Further identified by the investigation was the manner in which the captain assumed control of the airplane, and a lack of preflight discussion and agreement as to the situations where it might be appropriate for the captain to assume control. This and several other accidents involving human errors in using aircraft automation sparked increased focus on consideration of human factors and automation in the design of transport aircraft. There had been earlier “out-of-trim incidents” with the Airbus A300-600R. Airbus had the company that made the flight control computer produce a modification to the air flight system that would disengage the autopilot “when certain manual controls input is applied on the control wheel in GO-AROUND mode”. This modification was first available in September 1993, and the aircraft that had crashed had been scheduled to receive the upgrade. The aircraft had not received the update at the time of the crash because “China Airlines judged that the modifications were not urgent”. For aircraft with engines below the wing, as is the case with the under-wing mounted engines of the A300, a rapid increase in thrust creates a significant increasing pitch. While the crew was struggling to manually reduce pitch during the approach, the activation of the alpha-floor function, resulting thrust increase, and positive pitch moment further compromised the flight crew’s ability to control pitch. As the captain took over control and attempted a go around, the further increase in thrust by the ATS, coupled with the out-of-trim THS, quickly overcame the manual control authority on the elevator and allowed for a severe increase in pitch attitude and accompanying rapid increase in AOA towards stall. The pilots could not be prosecuted since they died in the accident. A class action suit was filed against China Airlines and Airbus Industrie for compensation. In December 2003, the Nagoya District Court ordered China Airlines to pay a combined 5 billion yen to 232 people, but cleared Airbus of liability. Some of the bereaved and survivors felt that the compensation was inadequate and a further class action suit was filed and ultimately settled in April 2007 when the airline apologized for the accident and provided additional compensation. On May 3, 1994, the Civil Aeronautics Administration (CAA) of the Republic of China (Taiwan) orderedChina Airlines to modify the flight control computers following Airbus’s notice of the modification. On May 7, the CAA ordered China Airlines to provide supplementary training and a re-evaluation of proficiency to all A300-600R pilots. The flight numbers CI140/141 were retired after the accident and were replaced with CI150/151. 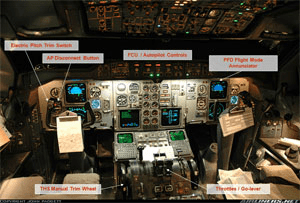 In 1994, the FAA launched a study to evaluate all flight crew/flight deck automation interfaces of current generation transport category airplanes. The FAA chartered a human factors team to conduct the study. Team members included experts from the FAA, the European Joint Airworthiness Authorities (JAA), and academia. The objective of the study was to examine the contributing factors from the perspective of design; flight crew training and qualifications; operations; and regulatory processes. The FAA also tasked the team to develop recommendations to address any problems identified. Insufficient wording in the Airplane Flight Manual regarding the capabilities and limitations of the autopilot. The full text of this team’s report issued in 1996 is available here. China Airlines officials again avoided charges over 1994 crash in an April 10, 2001 article by The Japan Times, stating that the Nagoya District Public Prosecutor’s Office said it had again opted not to indict four senior China Airlines officials over the April 1994 crash of the Airbus A300-600R at Nagoya airport that killed 264 passengers and crew members. The decision followed a reinvestigation, prompted by the 11-member No. 2 Nagoya Committee after relatives of crash victims called for further investigation, for the Inquest of Prosecution in January 2000. The panel said an earlier decision not to indict the four was inappropriate. As part of the renewed probe, prosecutors examined crew training procedures and evaluation methods used by Japan Air System Co., which introduced the same type of aircraft around the time of the accident. A commission investigating the appeal determined in January 2000 that the decision not to indict was inappropriate because it was hard to prove the four officials in question provided sufficient training for the pilots. While some relatives agreed on damages with CAL, several groups still had cases before the Nagoya District Court at the time of this 2001 article. The Japan Times reported again on October 26, 2002, that relatives of 38 people who died in the 1994 plane crash at Nagoya airport reached a compromise settlement with China Airlines, lawyers for the plaintiffs affirmed. The two parties agreed that the Taiwanese airline would pay each family 16.4 million yen plus an undisclosed sum, in line with an earlier offer tabled by the firm. The company also expressed remorse over the crash and pledged to prevent a recurrence of the accident. It was finalized after the group’s leader, Noboru Yamamoto, finally dropped his suit against the defendants.Yamamoto himself, however, refused to accept the terms of the compensation accord. “The plaintiffs are growing old, and some have even died,” said Yukihiko Nishio, one of the plaintiffs’ lawyers. “Some plaintiffs want to be released from the emotional pressures of the lawsuit and a solution thorough settlement is the proper way.” The 38 people for whom that settlement was reached were employees of Nittoseito, a ceramics maker in Toki, Gifu Prefecture, and its affiliated companies. Yet another suit filed by relatives of some 120 victims from Japan and Taiwan was still pending at the time of this 2002 article. Yamamoto, 49, said he could not bring himself to settle the matter, adding that he hoped the remaining group would continue the battle. The settlement was reached six years and 10 months after the 105 relatives sued China Airlines and Airbus Industrie, the manufacturer of the crashed jet, in December 1995, seeking a total of 4.1 billion yen in compensation. By November 28, 2003, the Japan Times reported that settlements had been reached by 79 out of 315 plaintiffs in the civil suit with Taiwan carrier China Airlines and European aircraft manufacturer Airbus Industrie over the fatal crash in 1994. Reporting again on April 20, 2007, the settlements were concluded (a week away from the 13th anniversary of the fateful incident) with the last 27 plaintiffs reportedly in agreements. The transcript shows the pilot, Wang Lo-chi, giving orders in Chinese to co-pilot Chuang Meng-jung, who had 1,629 hours of flying experience compared with 8,410 for Wang. About two minutes before the crash, one of the two – the transcript does not make clear which – says “Too high, too high.” Wang then orders Chuang to abandon the landing attempt and try again, an indication the jet may have been unable to land properly because excessive altitude put it in danger of overshooting the runway. The voice records on CH2 and CH3 of CVR, including radio communications, were identical because the cockpit intercom transmission system was always used by the CAP and the F/O. So which of the two seats the CAP or the F/O occupied could not be determined from the CVR. The Airbus had 8550 flying hours and 3910 cycles. The weather was fine: wind 290°/6kts (varying between 230° and 320°) >10 km visibility; scattered clouds at 3000ft. How Do People Survive Plane Crashes? Air Disaster, Vol. 3, by Macarthur Job, Aerospace Publications Pty. Ltd. (Australia), 1998 ISBN 1-875671-34-X, pp. 139–155. Flight 1008 was a fatal accident involving a Boeing 727-46 jet aircraft, operated by Dan Air Services Limited, on a non-scheduled international passenger service from Manchester to Tenerife in 1980. The accident killed 138 passengers and 8 crew members, because of a single misunderstanding. Communication between pilots and Air Traffic Control is essential. When this process breaks down, disaster often follows. This accident marked the greatest loss of life in an air disaster involving a British-registered aircraft, as well as becoming Dan-Air’s second major accident in 10 years, and the worst incident killing fare-paying passengers in the airline’s entire history. 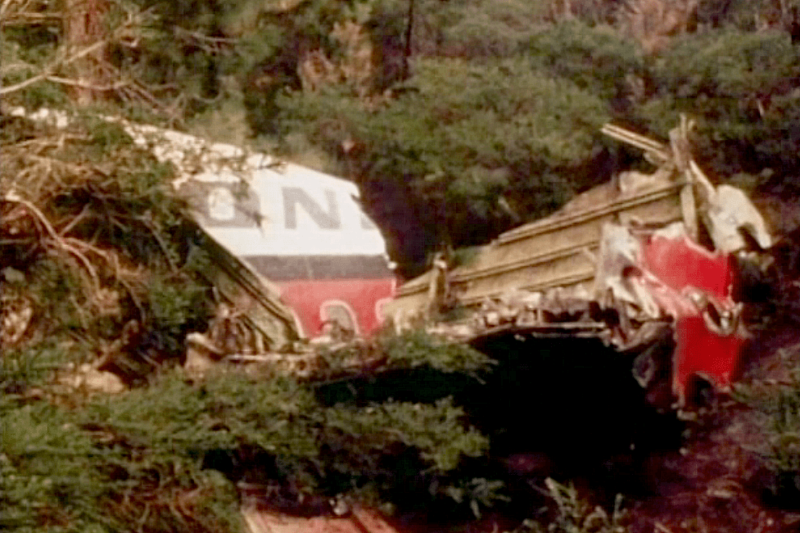 This was listed as one of the worst air disasters caused by miscommunication, which continued into the investigation, where blame was laid on the crew of the flight. While nothing about this flight went smoothly, one confusing and crucial line from an air traffic controller was skimmed over in the last report. This discrepancy was covered heavily in a documentary about the crash, available in parts on youtube channel DanAirCrash, also containing actual crash scene footage and audio from the cockpit. See still images above. Dan-Air flight 1008 took off from Manchester Airport (MAN) on Friday, April 25, 1980 at 09:22 UTC, en route for Tenerife-Norte Los Rodeos Airport (TFN). Approximately one minute later Approach Control told the aircraft to descend, and maintain FL60. Receipt of this message was acknowledged by the aircraft, whereupon the controller immediately requested it to indicate its distance from the TFN beacon. The crew replied that it was at 7 NM from TFN. Dan Air 1008 only replied “Roger” without repeating the information received, which was not compulsory under the ICAO regulations in force at the time of the accident. Almost one minute later, the aircraft the crew reported: “Dan Air one zero eight, Foxtrot Papa level at six zero, taking up the hold” and Tenerife APP replied: “Roger”. Instead of passing overhead FP, the flight had passed this navaid at 1.59 NM to the South. Instead of entering the 255 radial, the Boeing 727 continued its trajectory in the direction of 263 degrees for a duration of more than 20 seconds, entering an area with a minimum safety altitude (MSA) of 14500 ft. It appears that at this moment the information received on the holding flashed back to the Captain’s mind, making him realize that his manoeuvre was taking him to magnetic course 150 degrees outbound from ‘FP’, whereas the information received was “inbound” on the holding, heading 150 degrees towards ‘FP’. The copilot responded: “Inbound yeh”. “I don’t like that”, the captain said. The GPWS alarm sounded. The captain interrupted his left hand turn and entered a right hand turn and ordered an overshoot. They overflew a valley, temporarily deactivating the GPWS warning. The copilot suggested: “I suggest a heading of one two two actually and er take us through the overshoot, ah.” But the Captain continued with the turn to the right, because he was convinced that the turn he had been making to the left was taking him to the mountains. About two seconds later the aircraft the plane ploughed into the side of the island’s Mount La Esperanza, at an altitude of approximately 5,450 ft (1,662 m), killing all 146 people on board. They were 11.5 km off course. Just before impact, the air-craft had pulled up and banked sharply to the right. As a result of the violence of the impact, as well as the nature of the terrain, the aircraft was totally destroyed. Damage was estimated at 100%. Damage took place on the accident area, consisting of the destruction of trees, mostly pines, various fires and the contamination of the area by human remains and spilled fuel. The aircraft had refuelled with 49 800 lb, and the crew had carried out usual pre-flight operations. They had also requested and received appropriate meteorological information. The Boeing aircraft 727-100146, registered G-BDAN, was built in 1966 and certified for passenger transport. It was a low-winged monoplane, of metal structure and skin, propelled by three Pratt & Whitney JT8D-7 engines located in the tail of the aircraft. The landing gear was three-wheeled and retractable, with pressurized cabin. The greater part of the three engines was identified. The damage to the revolving parts, and the way in which they had been broken, indicated that they had all been at full power at the moment of impact. The three devices for thrust reverse were in a position of forward thrust. “The location of the initial impact was 28°23’53″N and 16°25’05″P, at 11.5 km on magnetic bearings of 222° from the approach end of runway 12 of Tenerife North, according to the military map of Spain 20/20. This first impact took place at an altitude of 1,662 m (5,450 ft), approximately 38 m below the summit of a peak whose height is 1,690 m on a course of impact of 250° to 260° magnetic. The maximum height of the mountain is 1,752 m (5,748 Et) – Pico del Chiriguel. The aircraft crashed obliquely on a slope located on a magnetic bearing of 033° and a 30° gradient relative to the horizontal. The actual gradient of the flight trajectory relative to the mountain was thus 20°. The slope against which the impact took place forms the side of a valley whose floor is at approximately 1,310 m (4,300 ft) above sea level, running in a northwest to southeast direction. The north-east side of the valley is formed by another peak of a height of approximately 1,464 m (4,800 ft). The aircraft impact took place in a relatively large clearing, just a short distance before a densely forested area. A few small trees were broken off immediately before the impact against the ground, and the right wing tip grazed a rock. The marks made on the ground were covered up by a landslide caused by the impact. The distribution of the wreckage indicated that most of the breakage suffered by the aircraft took place during the initial impact, although there were signs that a large section of the rear end of the fuselage, immediately behind the wing, and possibly with the empennage attached, remained relatively intact and was thrown several hundred metres away, starting a second trail of wreckage which included passenger seats and their occupants. The main trail of debris was approximately 350 m long, stretching up the slope to about 50 m above the initial impact. The maximum width was about 200 m, although a large quantity of debris had rolled down to a considerable distance from the place of their first impact against the ground. In general terms, the first part of the main trail included a large portion of the wing structure and the engines, the main left landing gear, the tips of the horizontal stabilizers and elevators, and some components of the crew cockpit. The trail continued with additional components of the crew cockpit, passenger luggage, the front landing gear, small pieces of the fuselage, wing, engines and a large portion of the central section of the plane and tail empennage, which were relatively intact except for the tips of the horizontal surface.The last part of the main trail was made up of a large number of pieces of the central and back section of the fuselage, as well as of electronic components. The secondary trail continued for a further 250 m, going up 15 m above the cliff and 45 m down the other side, and crossing over the road. A large quantity of small light fragments of material and burnt skin plate was recovered in the vicinity of “Las Lagunetas”, a village located at an altitude of 1,440 m (4,700 ft) above sea level and at 2 km, from the scene of the accident, according to a 390 magnetic bearing. A few similar fragments were recovered from the wood located between “Las Lagunetas” and the area of the impact. The coordinates of the impact area are 280 23’53” North and 16’ 25’05” West, with a bearing of 22Z0 magnetic from the threshold of runway 12 of Tenerife North, at an altitude of approximately 5 450 ft (1 662 m) and at 11.5 km off route. 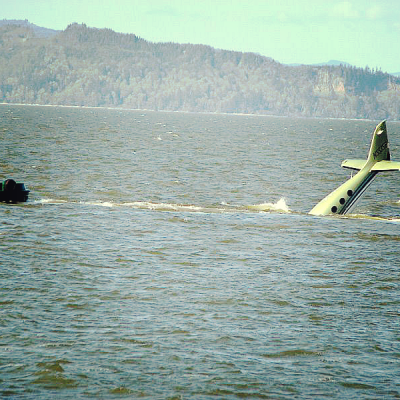 138 passengers and 8 crew members perished in the disaster. Approximately 50% of the passenger safety belts were found fastened, and others showed signs of having been fastened during the impact. It was determined that some seat belts had been unfastened by the rescue personnel. 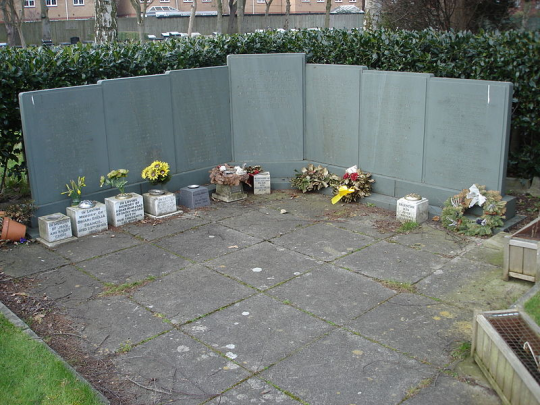 Due to the total destruction of the aircraft, and the extensive area over which the wreckage was spread, it was very difficult to identify the casualties. Very few bodies showed signs of burns, but they were all seriously mutilated. The identification was achieved with the help of fingerprints and dental records. Although it was not possible to identify the technical crew, their medical records gave no reason to suppose that they were not medically fit. The Captain was born in the United Kingdom on October 11, 1929. He held a valid Airline Transport Pilot’s Licence, No. 51676 and obtained a Boeing 727 type rating in December 1976. All other relevant operating certificates were valid. His total flight time was 15,299 hours and he had 1,912 hours experience on the Boeing 727 type. During the last 30 days he had flown 37 hours and during the same period had recorded 86.49 hours duty time. He had flown into Tenerife North 58 times previously, the preceding flight being on January 29, 1980. The Co-pilot was born in the United Kingdom on June 20, 1946. He held a valid Commercial Pilot’s Licence No. 95933 and obtained a type rating on the Boeing 727 in March 1979. All other operating certificates were valid. His total flight time was 3,492 hours of which 618 hours were in the Boeing 727. In the last 30 days he had flown 38.59 hours and during the same period had been on duty for 82.59 hours. He had flown into Tenerife North 9 times previously, the preceding flight being on December 22, 1979. The Flight Engineer was born in the United Kingdom on July 11, 1946. He held a valid Flight Engineer’s Licence No. 2131 and obtained a type rating on the Boeing 727 in April 1978. He had flown a total of 3,341 hours of which 16.53 hours were flown during the last 30 days. The Approach Controller was born in Santa Cruz de Tenerife (Spain) on February 22, 1946. He held Air Traffic Controller Licence No. AOITC 448 issued in October 1973. Ratings for the Tenerife North Airport and taxiing area were obtained in December 1978 and Tenerife North Approach in February 1979. A valid medical certificate was also held. Once the alarm was given, after communications had been cut off between APP and the aircraft, a normal search procedure was carried out by the Air Rescue Service and the Civil Guard on the ground. The search lasted several hours. Some people travelling along the road from La Laguna to the Teide found pieces of the aircraft which, at first, they did not recognize, nor did they pay them much attention, until they heard the news of the aircrafts disappearance over the radio, whereupon they reported them. The aircraft was located at 2000 hours local time by members of the Civil Guard, and after an initial inspection the area was immediately cordoned off and some bodies recovered. This work was interrupted until the following day on account of nightfall and the nature of the place and the terrain. During the night, various groups for rescuing the bodies were organized and co-ordinated and they started work the following day, the 26th, at 7 a,m. They worked during the 26th and 27th, recovering human remains. The operations of search and rescue were undertaken by members of the Civil Guard, the National Police, the Army, the Spanish Red Cross, volunteers from mountaineering groups, airport personnel, etc., all 05 whom were co-ordinated and directed by the Delegate of the Civil Governor of Tenerife, They worked during the three days required for the recovery of human remains, while the Civil Guard continued to guard the aircraft: debris during the time it was being investigated. 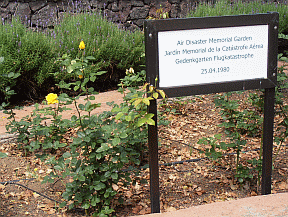 To commemorate those who lost their lives in the tragedy, The Memorial Rose Garden was created at the front of the church grounds where, every year on the anniversary of the crash, prayers are said for the departed and their families. Shortly after the crash near Tenerife’s Los Rodeos Airport, local Spanish officials voiced the opinion that the disaster was caused purely by pilot error. The official cause of the disaster was a misinterpretation, blamed mostly on the Boeing 727’s flight crew. 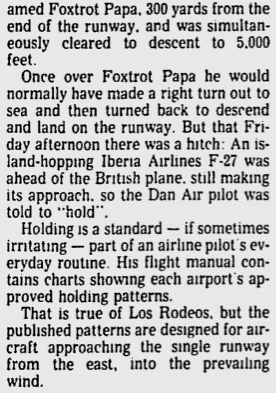 The plane entered a holding pattern, awaiting its turn to land, informed to take an unpublished, not officially approved, and potentially dangerous holding pattern above Los Rodeos Airport by traffic control. The pilot seems to have mistaken the word “inbound” for “outbound” in the instructions he received, flying in the opposite direction to which he was supposed to. This turn in the wrong direction took the plane through an area of exceptionally high ground, and due to the airport’s lack of ground radar, the air traffic controllers were unable to tell the flight crew that the plane was off course. Heavy clouds obscured the crew’s vision, likely preventing them from seeing the looming threat of the mountain. The first sign they had of any impending danger was when the plane’s ground proximity warning device was triggered. 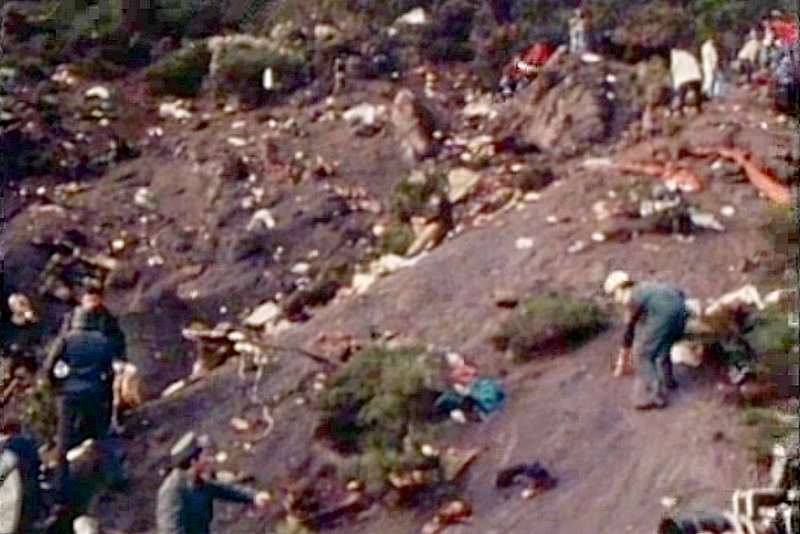 The crew attempted a steep climb, but the aircraft slammed into the mountainside, killing everyone on board instantly. Much of the current concern about Tenerife’s ATC capability centres on the fact that neither of the island’s two airports (Los Rodeos and Queen Sofia) has surveillance radar. Aircraft flying in and out are directed to follow one of several published procedures while ATC monitors the whereabouts of aircraft by listening to position reports the pilots transmit as they pass each beacon or designated reporting point. The procedures at Tenerife are, in themselves, simple and safe, keeping air-craft well clear of high ground with a reasonable margin for error. So although surveillance radar would be desirable and would definitely raise safety margins, it is not actually essential. Radar could have prevented this accident because such a gross deviation from the ordered flight path could hardly fail to be noticed. From all the unofficial detail known to date, three factors seem to have combined to cause this accident: the short notice given the crew to carry out an unexpected procedural manoeuvre; the non-availability of a relevant chart; and the failure of the captain to query the ATC instruction if he was confused by it. The captain, without taking into account the altitude at which he was flying, took the aircraft into an area of very high ground, and for this reason he did not maintain the correct safety distance above the ground, as was his obligation. 1. The information concerning the holding pattern at FP, which was transmitted by ATC, was ambiguous and contributed directly to the disorientation of the crew. 2. No minimum safe altitude computed for holding pattern. 3. Track for holding pattern at ‘FP’ is unrealistic. 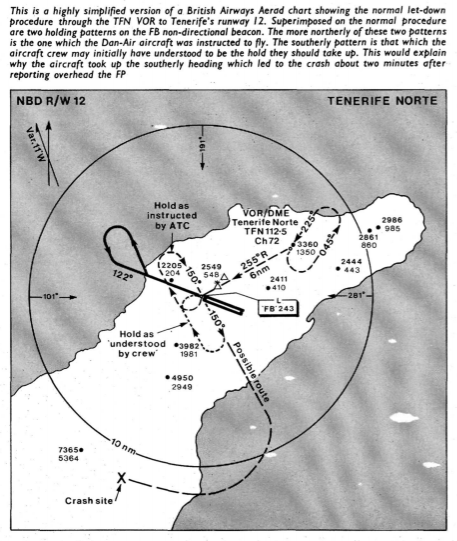 Since there is no evidence of any functional abnormality in the aircraft itself, this analysis will concentrate mainly on the communications with Tenerife Norte approach control (APP) from the time it was first contacted by the aircraft, and in particular the communications and conversations taken from the CVR for the last five minutes before the accident, i.e. from the point when the aircraft was approximately 7 n.m. from the ‘TFN’ VOR-DME. Between 1245.39hrs. (35:39) and 1246.52hrs. (34:26) control of DA-1008 was transferred from the Las Palmas Control Centre to Tenerife Norte APP. From the first communication by DA-1008 at 1314.28hrs. (06:50) until 1317.39hrs. (03:39), APP was in contact only with this aircraft and IB-711; thereafter until the time of the accident, apart from these two aircraft, it was also in contact with Hapag-Lloyd 542 which took off from runway 12 at the airport. `Tenerife, good morning, Dan Air one zero zero eight’. At 1314.33hrs (06:45) APP replied: `Dan Air one zero Tenerife, go ahead’. `Good morning sir, levelled at one one zero, fourteen miles to Tango Fox November’. At that moment the aircraft was between 14 and 16 miles from the `TFN’ VOR-DME and was approaching FL 110 with an indicated airspeed (IAS) of approximately 280 knots. `Dan-Air one zero zero eight, cleared to the Fox Trot Papa beacon via Tango Fox Trot November, flight level one one zero, expect runway one two, no delay’. `Roger, cleared to the Fox Papa via Tango Fox November, runway one two. Can we copy the weather?’. `Confirm, did you copy the weather?’. `I would like to copy the weather and the pressure, please’. `O.K. Runway in use one two, the wind one two zero, zero five visibility six from seven kilometres, cloud two oktas at one two zero metres, plus four oktas at two five zero metres, plus two oktas at three five zero metres, November Hotel one zero one three, temperature one six, dew point one one and drizzle’. The aircraft acknowledged the message and requested the QFE for runway 12. `Roger, can we have the Fox Echo, please, for runway one two’. `Iberia seven one one, level?’. `Iberia seven one one we are past the VOR and have left six, we are now five thousand, five thousand, maintaining’. This allowed APP to clear DAN-1008 to descend, and the following communications took place between APP and the aircraft. `Received. Break. Dan Air one zero zero eight descend and maintain flight level six zero’. `Roger, leaving one one zero for six zero’. `Report your DME reading, please’. `Er, we’re reading seven DME Tango Fox November and requesting the QFE, please’. According to the reconstruction of the path followed by the aircraft, taken in conjunction with the information from the flight data recorder and the cockpit voice recorder, at the time of this message the aircraft was between 7.5 and 9 nm. from the `TFN’ VOR-DME and was descending from FL 110 to 60. `One zero zero eight, nine four three many thanks’. Later APP corrected the QFE. `One zero zero eight, for your information QFE for runway one two is nine four one’. `Roger, nine four one for one two, thanks’. In the cockpit, the commander asked to co-pilot to tune in the ILS on his side, to use the back beam for guidance, at 1317.18hrs (04:00). `You can put the ILS on your side we might get it on a back beam for a lead in’. 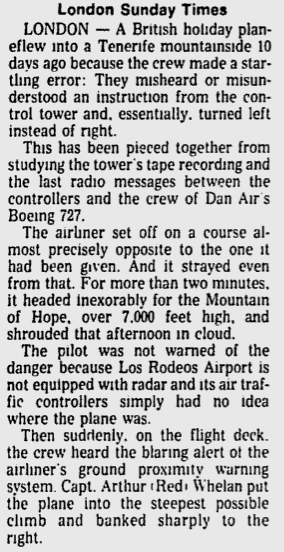 There were no further messages between DAN-1008 and APP until the aircraft reported that it had just passed the `TFN’ VOR-DME, but according to the CVR, the crew noted passing the radio aid approximately 33 seconds before reporting the fact, and this delay in reporting might have influenced subsequent events. The cause of the delay cannot be determined, since no other conversation took place in the cockpit and communications during this period were scanty, there being only a 10-second exchange between the Hapag-Lloyd flight and APP. From the time it reported its position as 7 n.m. on the DME, approximately 4:50 before impact, the aircraft’s speed continued to increase. FE ‘That’s what I reckoned it should be by calculation’. P1 ‘I won’t go out the full procedure if you know because it takes you way out to sea on this’. APP ‘IB-711 report on completing procedure turn’. Morse Code ITF ILS audio ident. P2 ‘ITF three oh five is in my box’. P2 ‘Three oh two I’m sorry excuse me’. P1 ‘Just about to go overhead going for’. P2 ‘Two five five out of here’. HP ‘Tenerife good afternoon — Hapag-Lloyd five four two’. APP ‘Five four two, good afternoon report ready’. DAN `Dan-Air one zero zero eight has just passed the Tango Fox November heading to the er, Fox Papa’. While the above exchange was going on, the aircraft commenced a wide turn to the right, taking it on to 263°magnetic which placed it to the south of the 255° radial of the ITN’ VOR-DME, which was the radial it ought to have followed in order to pass over the FP beacon, according to the clearance it had at the time. `Roger, the standard holding over Fox Papa is inbound heading one five zero, turn to the left, call you back shortly’. This transmission ended at 1319.00hrs. (2:18). The aircraft immediately acknowledged the information. `Roger DAN-AIR one zero zero eight’. For the next 56 seconds there were no transmissions between the aircraft and APP, or between APP and any other traffic, but there ensued a series of comments amongst the crew on the information they had received and these need to be analysed because they reveal doubts, due to the phrase ‘no delay’ in their first exchange with APP, the lack of clarity in the information received, which began with ‘standard holding’ and ended with ‘turn to the left’, and the idea which had formed in the commander’s mind one minute and twelve seconds earlier, and these may enable us to formulate a hypothesis on the motives which led the crew to direct the aircraft to the accident site. After the information about the hold had been acknowledged, given the expansive and extroverted nature of the co-pilot it is possible that he made some gesture of surprise; the commander confirmed ‘Inbound one five zero to your left’, which created a mental image of an inbound heading of 150° towards some unknown point which we have been unable to determine, given that the aircraft was on a heading of 263° magnetic at the time. A further difficulty is that the commander apparently understood that the 150° inbound heading was a course to be taken up at ‘FP’. The crew then repeated the commander’s words ‘one to go’. Subsequently the co-pilot still appeared to have doubts about the information they had received and the action which the commander had apparently decided to take. The commander’s response was: ‘I’ll just turn straight round left on to one five zero when I go overhead then’. This appears to imply that he would make a turn to the left immediately on passing over ‘FP; on a heading of one five zero, which again reinforces the idea which he had already formed when he said ‘Inbound one five zero to your left’. Once again the co-pilot, in spite of his uncertainty, confirmed what the commander had said, rather than voice his doubts which might have led to the crew calling APP. Nevertheless the commander, who was still maintaining his aircraft at a high speed considering his proximity to’FP: remarked: ‘The only thing is we’re just about to miss it ah ah it’s too close’. This appears to refer to the ‘FP’ beacon and possibly the difficulty in performing a manoeuvre to get from his heading of 263° on to 150°, which appears to be the picture he had in his mind. We cannot say whether this suggestion was an attempt to draw the commander’s attention to the fact that the information they had received referred to ‘FP’. `If you put them both on as we’re going to hold, yeh’. He appears to have been convinced that they had to hold, and believed he knew how the hold should be performed. `That’s er that’s the Foxtrot Papa now’. It is notable that at a time when instrument monitoring was most needed, the co-pilot’s attention was mainly focussed on selecting and identifying the `FP’ beacon on his ADF. The crew were probably engaged in checking their charts for the hold, therefore they did not anticipate their arrival at ‘FP’ at that moment. `Dan Air one zero zero eight is the Foxtrot Papa level at six zero taking up the hold’. However, according to the reconstruction of the flight path, the aircraft continued on heading 263° for approximately 20 seconds, during which time it covered about 2 n.m. (this action is difficult to comprehend since the commander had already stated previously that he would commence a turn immediately after passing `FP’). At this time the aircraft was flying in a sector with a minimum safe altitude of 14,500 ft. Following a comment by the flight engineer ‘that’s the fuel’, which appeared to relate to his own specific duties, the co-pilot apparently continued expressing vague doubts to the commander, when he said: ‘Bloody strange hold isn’t it’. `Yes, doesn’t parallel with the runway or anything’. But he continued the manoeuvre he had initiated. P2 ‘It’s that way isn’t it?’. FE ‘That is a three isn’t it?’. P2 ‘Yes, well the hold’s going to be here isn’t it?’. The co-pilot’s comments are an indication of the uncertainty he felt about the manoeuvre which was being performed, but the meaning of the flight engineer’s comments and precisely what he was referring to, is not clear. `Free five thousand now, we are in the procedure turn’. `Dan-Air one zero zero eight recleared to five thousand on the Quebec Foxtrot Echo and the Quebec November Hotel’. This clearance should not have been given in this form, which could lead to an error if the crew did not choose the correct datum for interpreting altitude. However, the crew acknowledged the message, read back the information and used the QNH as the datum. This information was given by APP at a time when, as far as APP knew, the aircraft was entering the hold, according to the transmission received 35 seconds earlier. 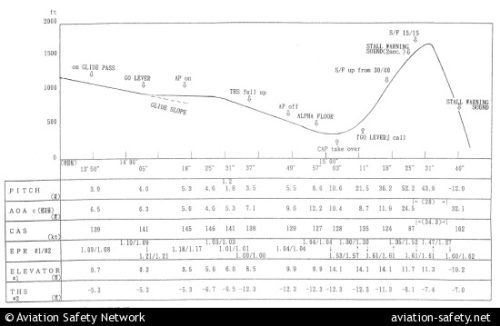 The crew, bearing in mind the zone in which they were flying (assuming they had determined where they were), should have notified APP of their position and of the risks involved in descending to the assigned altitude. P1 ‘Hey, did he say it was one five zero inbound?’. It would appear that at this moment the commander’s mind went back over the information he had received on the hold, and he realised that his manoeuvre was taking him on a heading of 150° magnetic away from ‘FP’, whereas the information he had been given referred to an inbound heading of 150° to ‘FP’ for the hold. P2 ‘They want us to keep going more round don’t they?’. The conversation broke off at that moment because the Ground Proximity Warning System (GPWS) sounded. P1 ‘He’s taking us round to the high ground’. 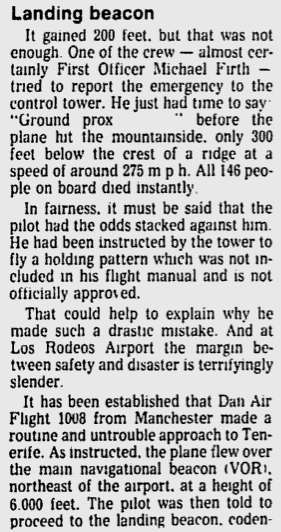 He initiated a turn to the right and because this happened to take the aircraft over a valley the GPWS was deactivated. `I suggest a heading of one two two actually and er take us through the overshoot, ah’. But the commander continued the turn to the right, being convinced that the left hand turn he had been making was taking the aircraft towards the mountains. `He’s taking us round to high ground’. The co-pilot did not repeat his previous suggestion, and simply acknowledged the comment. `Er, Dan Air One zero zero eight we’ve had ground proximity warning’. Company procedures require the flight engineer to alert the pilots whenever the bank angle exceeds 30°, and although the aircraft had been exceeding that angle for fifteen seconds, the reason he did not give a warning was probably that he was adjusting the engine settings, in accordance with the commander’s instructions. APP, in view of the traffic being handled, should have kept the Dan :Air flight in the hold at `TFN’ but, possibly not wishing to delay the flight and being convinced he knew the position of the two aircraft, he kept them at a separation of 1,000 feet. 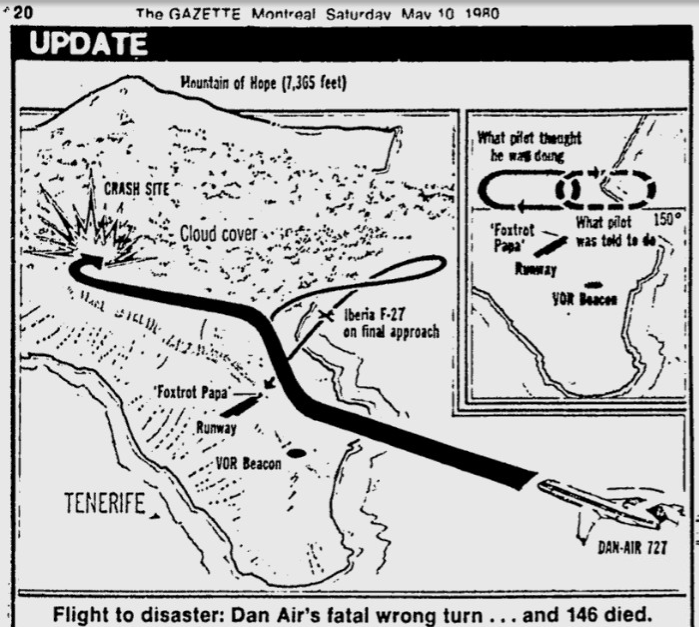 The controller did not determine correctly the position of the Dan -Air aircraft. This is evident from his failure to appreciate that it was overhauling IB-711. 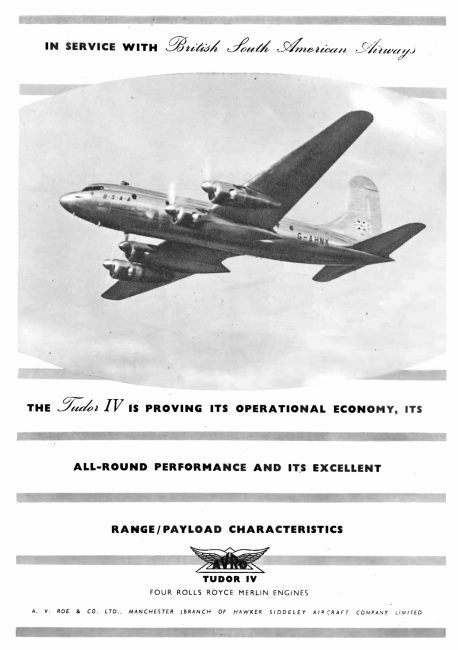 Thus, when DA-1008 reported passing ‘TEN’, perhaps earlier than he had calculated, he found himself in an unexpected situation and therefore passed information about a hold at ‘FP’, revising his calculations and estimating that at the theoretical speed for the sector, the aircraft would take nearly two minutes to reach `FP’; but it reported passing ‘FP’ and taking up the hold just 63 seconds later. He authorised a descent to 5,000 feet, in the belief that the aircraft would be on the entry segment to the hold, i.e. on a heading of 330° outbound from ‘FP’ in accordance with the procedure for entering the holding pattern. APP began the information on the hold with the words ‘The standard holding …’, which according to ICAO Doc. 8168-0PS, Part II, Chapter 1, Section 1.1.1.3, indicates turns to the right unless otherwise specified. Although what APP meant to say was `… . turns to the left …’, what was actually heard was `… turn to the left …’, and this, if the information was not read back, could give rise to incorrect interpretation. It proved possible to determine, by reconstruction of the flight path, that after passing ‘TEN’ the aircraft flew at an average speed of approximately 250 knots, higher than that advisable for this part of the approach. At the same time, the navigation was very imprecise, and more specifically the aircraft passed to the east of the ‘TEN’ VOR-DME at a distance of approximately 0.79 n.m. and at no time did it intercept the 255 radial of ‘TEN’, which would have brought it to `FP’; it therefore passed to the south of ‘FP’ at a distance of 1.59 n.m. The crew reported passing over ‘TEN’ some 33 seconds after actually passing it; APP immediately issued instructions for a hold at ‘FP’, which was accepted without read-back or any request for clarification. If they had only interpreted the first part `the standard holding over Fox Papa is inbound heading 150 …’, they should have turned to the right on passing `FP’ in order to take up the ‘standard’ hold at ‘FP’ with an inbound heading of 150. If they had only taken the second part of the message `… turn to the left’ as mandatory, one would assume that they should have turned left as soon as they received the message, or commenced the turn over `FP’; instead of continuing on 263° for a further 20 seconds before commencing their turn to the left. It appears that the commander’s intention as soon as he received the information (and in spite of his having said ‘Inbound 150 …’) was to make a left turn to take up the ‘standard’ hold at `FP’,.approaching the radio aid on a heading of 330°, or simply to follow a magnetic bearing of 150°, because he thought that was the information he had been given. With all the accumulated navigational errors, the activation of the GPWS led the commander to alter his flight path because he did not know his position. The deactivation of the GPWS led him to believe that his avoiding action had been correct. Standard operating procedure for an avoidance manoeuvre requires the aircraft attitude to be adjusted to achieve the best rate of climb and it must be said that the commander made a mistake in not levelling the wings, with the result that instead of starting to climb, the aircraft simply reduced its rate of descent. The combination of events led to the accident. The confusion in the information and its acceptance by the crew lead us to examine the existing ICAO rules on holding instructions; it is apparent that they are not sufficiently clear and can give rise to errors of interpretation, since some documents such as Doc. 8168, Part II, Chapter 1 referred to earlier and Annex 4, Chapter 8, section 8.2.1 are ambiguous and contradictory and require clarification. G-AGRH Zephyr was the name of this modified Avro Tudor IV, the Super Trader IV, carrying twelve men and “top-secret” equipment for Woomera rocket range, crashing on April 23, 1959. The aircraft, owned by Air Charter Limited, had been fitted with an aft cargo door and was flown unpressurized. The plane departed Ankara for a flight to Bahrain, which was a leg of a long cargo flight from United Kingdom to Woomera Airfield in Australia. The intrigue of this crash stems from a cover-up to remove the wreckage with explosives, rather than any form of investigation, apparently risking the dangerous terrain and possibly being one of the firsts to climb it at all. Between Ankara and Teheran, the aircraft used an air corridor which would take it over the middle of Lake Van, Turkey’s largest lake almost surrounded by mountains and situated close to the Soviet-Armenian border. At 08:14, the aircraft passed over Gemerek at FL115 and Elazığ at 08:59 (at FL135). The last position report was received at 09:26 over Muş. 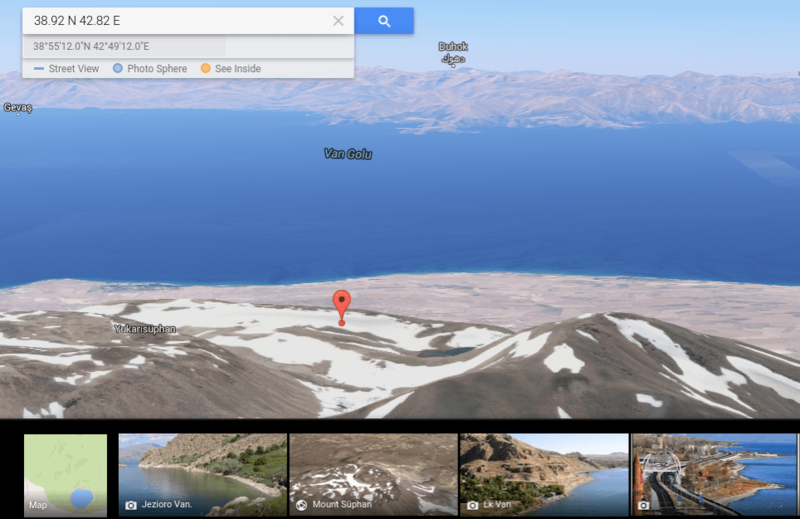 The aircraft had crashed, and was found six days later on Mount Süphan, a little north of Lake Van. See images above for location shots. 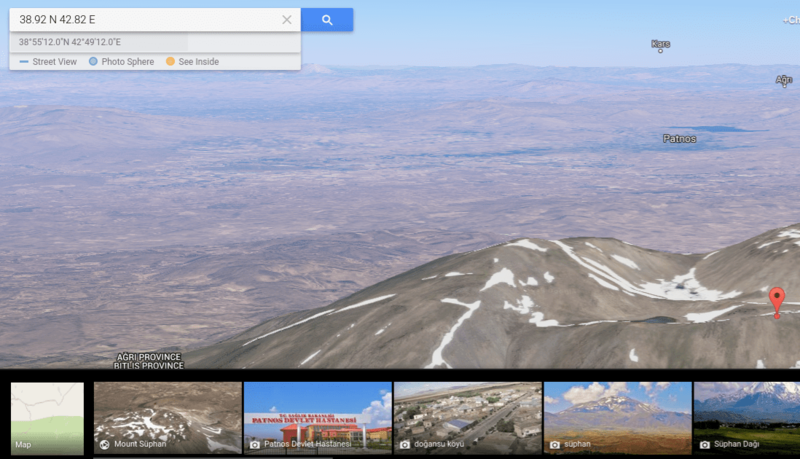 Mount Süphan is a stratovolcano, located in eastern Turkey, immediately north of Lake Van. It is the second highest volcano in Turkey with an elevation of 4,058 m or 13,314 ft and has the second highest prominence of the Armenian Highland, after Mount Ararat. All 12 passengers on board died, referred to as crewman in most articles. Some refer to them as “passengers, most crewman” implying multiple reasons for being on the aircraft. RAF Forum user Moose47 shares the information that the Avro Tudor G-AGRH “Zephyr” was previously owned by British South American Airways. It was used during the Berlin Airlift where it flew 114 sorties. This breaks down to 322.13 flying hours and 1,134.2 tons of freight. The Tudor aircraft had a somewhat questionable lifetime, and included a major crash killing all 80 Welsh Football fans when the C of G was badly upset on the final ‘let down’. After storage for some years at Manchester Airport, four ex-BSAAC Tudor IVs were bought by Air Charter in late 1953. They were fitted with 6 ft 10 in (2.08 m) by 5 ft 5 in (1.65 m) cargo doors aft by Aviation Traders and designated Super Traders IV or IVB, receiving their Certificate of Airworthiness in March 1955. 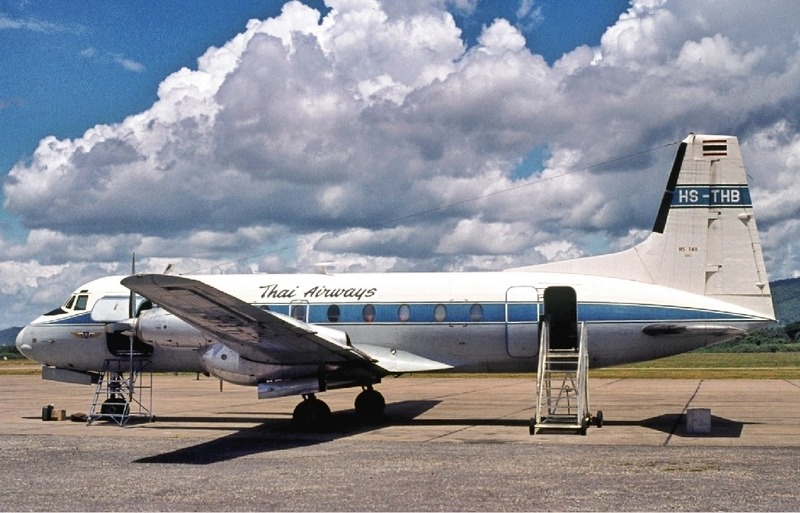 These were operated by Air Charter Ltd on long distance freight flights as far as Christmas Island. Some remained in service until 1959, until this G-AGRH “Zephyr” crashed in Turkey in 1959. 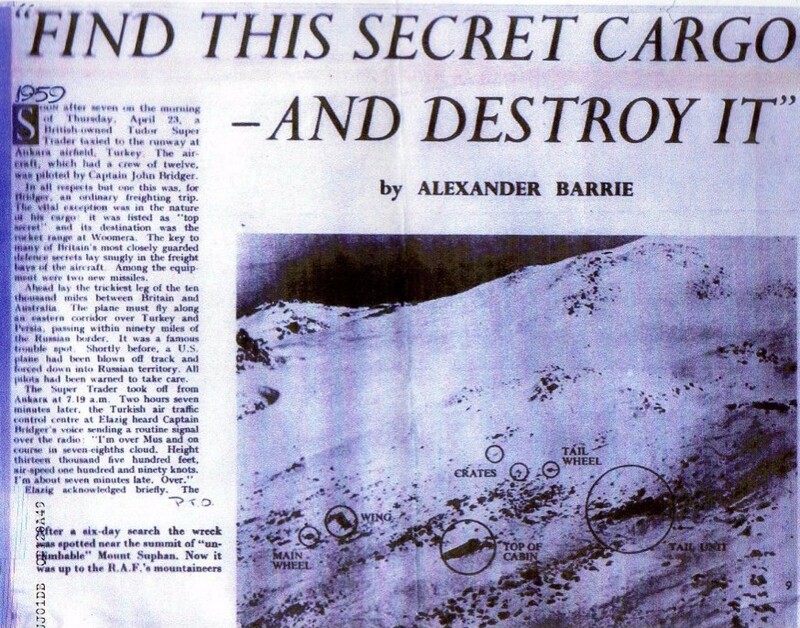 A special Royal Air Force mountain rescue team of six men from Nicosia, Cyprus reached the crash site at the top of the mountain some days later and demolished the plane wreckage with several explosives after retrieving several important documents. An intensive search was initiated using Hastings of 70 Sqdn from Nicosia, Shackletons from Akrotiri, Bahrain and Luqa. The wreckage was spotted from a Hastings piloted by F/O George Noble on April 29th on a mountain north of Lake Van, Suphan Dagi (Mount Suphan). The wreck was at 13,00ft roughly 200 feet below the summit. The Cyprus MR Team were sent to Turkey and managed to reach the crash site and using explosives dropped from a hastings they set charges and destroyed the wreckage. Just a bit more info on this topic. The Mountain Rescue Team Leader at Nicosia was F/Sgt Harry Appleby. The Team Officer was F/Lt Richard Robertson. Some members of the first party to head up the mountain were Sgt Jack Emmerson(he had Himalayan experience) Cpl Derek Bottomer, Cpl Pete Whelan and Sac Fred Costall. As mentioned previously, the demolition expert could not get to the crash site so explosives and fuses were dropped from a Hastings. SAC Gordon Hercod and SAC George Murphy set the charges,’ lit the blue touch paper’ and retired to a safe distance. After the explosion they realised that one of the charges had not detonated so Hercod went back into the wreckage and reset the fuse. Gordon Hercod received the Queen’s Commendation for Bravery. Appleby, Emmerson and Murphy received BEMs. Whelan and Bottomer received the Commander-in-Chief’s Commendation. F/Lt Robertson was appointed MBE despite not having played a role comparable with that of Hercod and Murphy. Of course, he was an officer!!! I was a member of the RAF Nicosia Mountain Rescue Team involved with 15/16 others on the Avro Tudor crash on Mt Suphan Dagi just north of Lake Van in South Eastern Turkey in late April 1959. This caused an almighty “PANIC” in the Government and the Air Ministry at the time because of the type of cargo on its way to the testing range at Woomera in South Australia and the nearby Soviet/Armenian border. Remember this happened during the so called “cold war” and during this time American CIA U2 Spy planes were regularly being flown into Soviet Airspace from joint USAF/TAF bases, remember the infamous “incident” when eventually Gary Powers U2 was shot down by a missile. were with me in the final party of six at the crash site. I do have two so called reports/conclusions about the causes by people who were not there and some of it is not true, words like coverup and whitewash come to mind, i will be very happy to pass on further details if anyone is genuinely interested, lets not forget the twelve guys on board who lost their lives in that inhospitable place fifty years ago this coming April. I first learnt about the accident prior to leaving RAF Seletar in 1959, the news had been broadcasted on short wave radio, (I think it was about the third week in April of 1959), I was particularly interested in the accident through my hobby of tracking the growth of Charter Air Operators in U.K. since many of the companies were operated by ex RAF aircrew who had flown during and after WW2. which made this particular company of special interest. G—Romeo Hotel’s skipper was Captain John Bridger although I believe that Mike Butcher DFC may have been the Co-Pilot, I regret the confusion here was due to the fact that a good friend of mine, one Captain Pat Falconer of DAN-AIR London had been playing cards with the crew on the evening prior to the flight in question, Pat assured me that the skipper of G-Romeo Hotel was Mike Butcher. Further information concerning this FIT is available (perhaps?) from the ICAO Digest Circular 62-AN/57 (114-115). There are finer and fuller accurate details on the flight/subsequent crash, available from several people on this very excellent forum, I would strongly recommend that all who are interested, especially in Flights into Terrain (FIT) make contact through these individuals who were actually involved in the recovery/destruction of the aircraft and its cargo. As an ex Air Traffic Controller such incidents were of high importance if only to assist in preventing similar incidents in future. Best regards for the searchers. I was involved in the last six to get to the crash site where we stayed two nights and destroyed all we could of the secret cargo, also gathered up as much as we could of the documents that were lying about in the crash site. It was concluded that the aircraft, which had been flying on instruments, drifted north of its normal track because of strong winds and crashed into the mountain. Contributing factors were that the winds were stronger than forecast – an accurate bearing could not be obtained at Muş, and the wind forecast at Van had not been checked. Subnormal temperatures would result in a high indicated altimeter reading and calculations on the flight and contacts with beacons were not coordinated and controlled. April marks the 41st anniversary for the 4 hour and 20 minute long Pan American Airways voyage, with a 4 hour and 23 minute expected flight time, that ended in an unfortunate loss of all 107 lives onboard onboard International Scheduled Passenger Flight 812. The Boeing 707-321B was operated by Pan American World Airways with the registration number N446PA. Interestingly, Clipper Climax was the jet used in the 1971 film Willy Wonka & the Chocolate Factory, as the aircraft used to deliver the much sought-after shipments of Wonka bars to candy stores around the world. There used to be two flights a week through Bali, and they were the only non-Indonesian flights allowed outside of Jakarta at the time. The plane crashed into rough mountainous terrain in Bali’s remote northwest, while preparing for a runway approach in Denpasar, the capital and the most populous city of the Indonesian province of Bali. Last radio contact was made at 10:26PM local time. All times on this page are related to Indonesia Western Time, seven hours in advance (UTC+7). Pan American’s Flight No. 812 departed Hong Kong on April 22, 1974, bound for Los Angeles, California with intermediate stops at Indonesia’s Bali International Airport at Denpasar, the Fiji Islands, Sydney, Australia, and Hawaii. Take-off commenced at 06:08PM. They allocated flight level 330 from Hong Kong until BTT and then proceeded at flight level 350 until Denpasar. The flight proceeded normally, and position reports while in Indonesian UIR were carried out through Jakarta Radio on frequency 5673 kHz. At 9:28PM, the flight was cleared by Jakarta area Control Centre to descend to flight level 280. They established first contact with Bali Tower at 10:06PM, through Tower Frequency 118.1 MHz, and was instructed to contact Bali control on frequency 128.3 kHz. 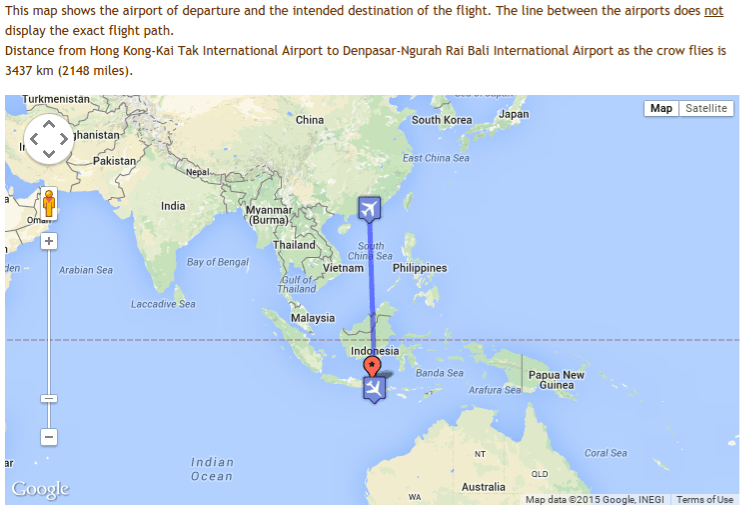 At 10:08PM, the flight informed Bali Control of revised ETA 1527. A clearance to descend to flight level 100 was given by Bali Control ,and at 10:09PM a request was made by the aircraft for active runway. Runway in use 09 was passed on by Bali Control to the aircraft. During the descent to flight level 120, after observing that one of the ADF needles had swung, at 10:19PM the flight reported over the station turning outbound and was subsequently instructed to contact Bali Tower. Twenty-five seconds later, they established contact with Bali Tower, informing outbound procedure, followed by a request for lower altitude. Clearance was then given to descend to 2,500 ft and were instructed to report reaching 2,500 ft.
At 10:23PM, the aircraft reported reaching 2,500 and Bali Tower gave instructions to continue approach, and to report when runway was in sight. Acknowledgement was made by saying “Check inbound”. However, according to the transcription of Air Traffic Control voice recorder, this message was never received by Bali Tower. Apparently, this was the last message transmitted by the aircraft. Bali Tower kept trying to contact the aircraft by calling “Clipper eight one two, Bali Tower” and “Clipper eight one two, Bali Tower, how do you read” several times. However, no answer was received from the aircraft. It was subsequently found that the aircraft hit the top of a remote, rough mountain terrain, approximately 37 NM North-West of Ngurah Rai Airport. 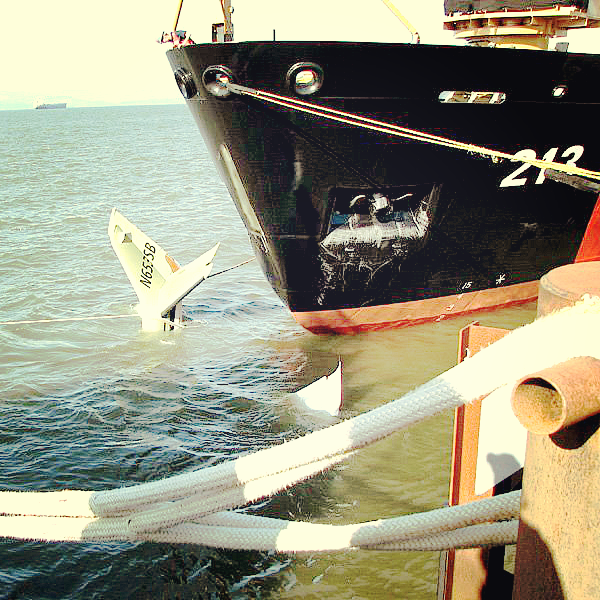 The starboard wing broke off, and separated into four pieces. Then the left wing hit a ridge, and broke into three parts. The fuselage came to rest and burst into flames. “The plane had crashed on Mesehe Mountain, an inactive volcano, which rises steeply out of the jungle and had an altitude of around 4,000 feet above sea level. 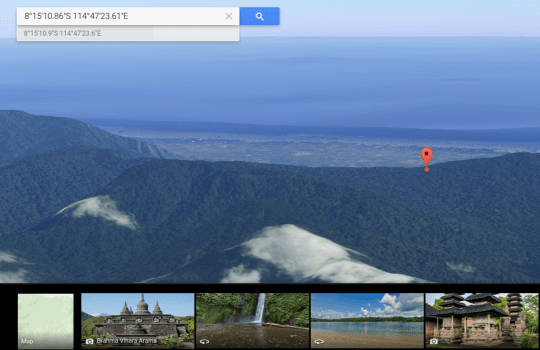 In 2010 through the Aviation forums, a since-deleted user named BMIFlyer, from the UK, posted their resolution of the final coordinates using google earth, plotting a course of 37 NM NW of Bali Airport, at a location with an altitude of 915m (3000 ft) ASL. This is a very rough guess but the terrain matches the location of the crash site description and can be viewed at this link. No identification or toxicological examination of the victims could be made. The official number of 96 passengers and 11 crew (107 dead total) was based on the passenger manifest and crew list. 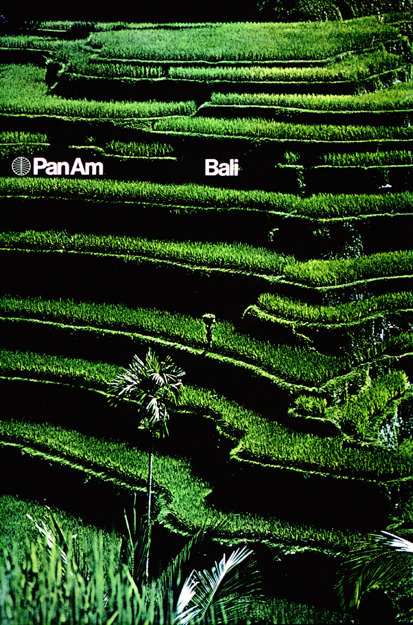 Pan Am reported that about seventy passengers were tourists bound for a holiday in Bali. The nationalities were as follows: 29 Japanese, 18 French, 17 Americans, 16 Australians, 5 Germans, 3 Canadians, 3 Filipinos, 3 Indonesians, 2 Taiwanese, and 1 Indian. 6 Americans were from New York City. William Pierce reported about 28 Americans on the flight. The cockpit crew consisted of Captain Donald Zinke, First Officer John Schroeder, Third Officer Melvin Pratt, and Flight Engineers Timothy Crowley & Edward Keating. The 96 passengers were looked after by Pursers Mary Butterworth & Beverly Schmitt and Flight Attendants Ann Beran, Janice Fanning, Ingrid Johansson, & Donna Kent. The pilot-in-command, aged 52, held a valid airline transport pilot’s licence endorsed for Douglas DC-4 and Boeing 707/720. At the time of the accident he had flown a total of 18 247 hours including 7 192 hours in Boeing 707/720 aircraft. His last FAA medical examination took place on 13 December 1973, with a limitation to wear glasses while flying an aircraft. He had flown 33 hours during the last 30 days and 3:40 hours during the 24 hours prior to the accident. His last proficiency check was carried out on 24 October 1973. His last entry to Denpasar was on 16 May 1973 on flight PA-811 from Sydney to Hong Kong via Denpasar. The first officer, aged 40, held a valid ATPL endorsed for Boeing 707/720. At the time of the accident he had flown a total of 6 312 hours including 4 776 hours in Boeing 707/720 aircraft. His last FAA medical examination took place on 5 December 1973 and there were no limitations imposed. He had flown 40 hours during the last 30 days and 3:40 hours during the 24 hours prior to the accident. His last proficiency check was carried out on 7 December 1973. His last entry to Denpasar was on 16 July 1973 on flight PA-812 from Hong Kong to Sydney via Denpasar. The second officer, aged 38, held a valid Commercial pilot’s licence and a current instrument rating. At the time of the accident he had flown a total of 4 255 hours including 3 964 hours in Boeing 707/720 aircraft. His last FAA medical examination took place on 8 March 1974 with no limitations imposed. He had flown 74:27 hours during the last 30 days and 3:40 hours during the 24 hours preceding the accident. His last Proficiency check was carried out on 15 February 1974. His last entry to Denpasar was On 27 February 1974 on flight PA-812 from Sydney to Hong Kong via Denpasar. The flight engineer, aged 48, held a valid flight engineer’s licence. At the time of the accident he had flown a total of 14 375 hours including 7 175 hours in Boeing 707/720 aircraft. His last FAA medical examination took place on 5 November 1973 with a limitation to wear glasses while on duty in the aircraft. 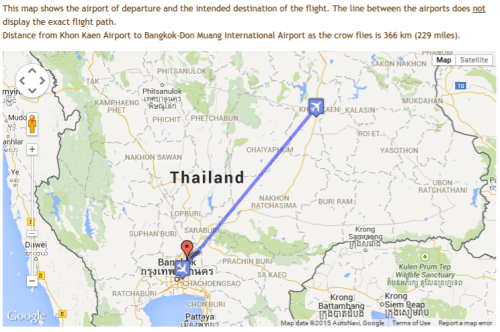 He had flown 26 hours during the last 30 days and 3:40 hours during the 24 hours preceding the accident. His last proficiency check ride was carried out on 21 March 1974. His last entry to Denpasar was on 17 December 1973 on flight PA-812 from Hong Kong to Sydney via Denpasar. The second flight engineer, aged 43, held a valid flight engineer’s licence. At the time of the accident he had flown a total of 7 986 hours including 4 965 hours in Boeing 707/720 aircraft. His last FAA medical examination took place on 6 August 1973 with a limitation to wear glasses while on duty in the aircraft. He had flown 32 hours during the last 30 days and 3:40 hours during the 24 hours prior to the accident. His last proficiency check ride was carried out on 8 January 1974. His last entry to Denpasar was on 16 January 1974 on flight P4-811 from Sydney to Hong Kong via Denpasar. The aircraft was totally destroyed, and any damage was confined to the forest at the crash site. The Boeing 707-321 C had the serial number 19268 and was delivered to Pan American World Airways on December 16, 1966. The total airframe hours since new until the last recorded maintenance was 27,943 hours. The total landings (cycles) were 9,123 up to the last recorded maintenance. The last recorded maintenance was accomplished at Hong Kong Airport at the termination of flight number 811 on April 22, 1974. The Certificate of airworthiness of the aircraft was valid and the aircraft had been maintained in accordance with a continuous programme. The powerplants were four Pratt and Whitney JT3D model 3 BAB engines. From the aircraft maintenance log, it appeared that all actions to correct discrepancies had been taken and properly accomplished. All Airworthiness Directives, Engineering Authorizations and Quality Control Authorizations had been complied with. 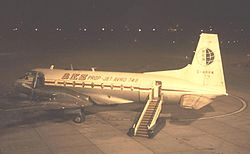 The last “A” check was accomplished at a ship time of 27,943 hours on April 22, 1974 at Hong Kong Airport, whereas the last “B” check was accomplished on April 13, 1974 at total aircraft time of 27,838 hours. Engine serial number 667727 was installed on N 446 PA on April 18, 1974 in the number four position. At the time of the last recorded maintenance, at the termination of flight number 811/20 at Hong Kong Airport, the total engine time was 20,049 hours. The total engine cycles were 6,040. The last combustion area inspection at TSO 19,999, was done on a Periodic/Shop Visit on July 5, 1973. The test cell run was made on April 2, 1974. “The accident occurred in rough mountainous terrain with trees 20 to 30 m high. The crash site is located at an elevation of about 3000 feet above mean sea level and approximately 37 NM North-West of Ngurah Rai Airport. Judging from the cuts of trees, the aircraft’s heading prior to impact was estimated to be between 155 and 160 degrees. It appeared from the cuts of the trees that aircraft hit the mountain in a banked position. The aircraft disintegrated after its final impact and the wreckage was scattered within a radius of 50 m from the point of impact. Thorough investigation at the crash site revealed that no fire broke out prior to the accident. Further examination of the wreckage disclosed the main and nose landing gears were in down and locked positions. It was found that the right-hand wing tip struck several trees first at approximately 50 m from the impact point and then the aircraft entered a gap about 100 feet wide between two large trees. The right wind was sheared off at its root and broken into four parts. The left wing struck a ride and was broken into three separate parts. It was observed that a burnt area was shown close to the main impact area, which indicated that fire broke out immediately after impact. There is much belief the wreckage still lies in the mountainous terrain, though not much left and most likely covered in vegetation. Attempts to visit the site since have been unsuccessful. Date and time: April 22, 1974, 3:00PM GMT. Cloud: 1 Oktas Cu 2 000 ft.
Altimeter setting: 1 011.6 mb or 29.87 in Hg. Pressure at aerodrome elevation: 1 011.1 mb or 29.86 in Hg. According to eyewitness observations, the weather at the accident site was a clear (cloudless) starry sky. The aircraft was equipped with a flight data recorder and a cockpit voice recorder. Both recorders were found on the 16 and 18 of July 1974, respectively, after an intensive two-week search at the crash site. The flight data recorder had the serial number 443 and the cockpit voice recorder had the serial number 870. They were sent to the National Transportation Safety Board, USA, for read-out and evaluation. The flight data recorder was a LAS 169-C model having serial number 443. Examination of the cassette showed minor mechanical damage. The foil recording medium was removed from the cassette and found to have several mechanical tears and deformation due to impact, apparently as a result of the accident. 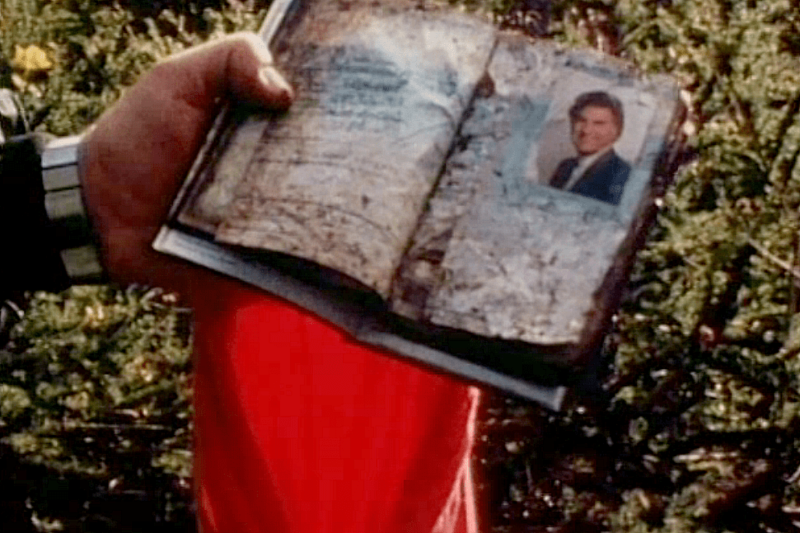 No evidence of fire or heat damage was noted on the cassette or foil. It was noted that 311 parameter traces had been recorded at the time of the accident. 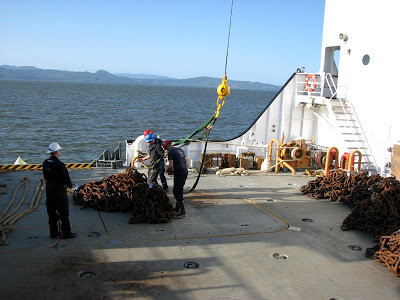 Basic reference measurements disclosed that the recorder had been operating in a manner consistent with the current calibration, with no evidence of recorder malfunction or recording abnormalities. The read-out done by the NTSB laboratory was started at a point when the aircraft was at cruising altitude of 34,000 ft and covered the last 39 minutes and 30 seconds of recorder operations. The read-out covers a period of several seconds after impact, however, the tract point of impact was not definitely established. The cockpit voice recorder was also recovered and sent to the U.S. National Transportation Safety Board for evaluation. It yielded a good readable tape and a transcription that was made of the last thirty minutes of the flight. The NTSB’s comprehensive read out indicated that evaluation started at cockpit voice recorder time of 09:56:14PM and the read-out indicated that tile impact occurred at 10:26:42.9PM. 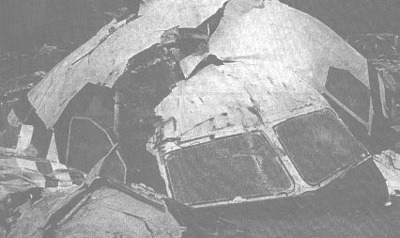 A review of the tape revealed that the cockpit voice recorder been operating satisfactorily up to the time of the accident. Examination of the wreckage and inspection of the site indicated that no structural failure of the aircraft occurred before impact. No indication of any malfunctioning of engines or break up prior to impact of the aircraft with the ground was found. The Board did not find any evidence that may indicate that the aircraft was not in an airworthy condition at the time of the accident. Subsequently communication between the aircraft and the ground was normal. The cockpit voice recorder further disclosed that the pilot-in-command had encountered no difficulty with the procedures to land at Bali Airport, in which it was mentioned to maintain at 12,000ft until the beacon, and then to execute the full ADF let-down procedure. The cockpit voice recorder disclosed that the pilots were aware of the existence of a 7,000ft mountain, 26 miles North of Bali Airport, and another 10,000ft mountain north-north-fast of the airport, and that flight level 120 would clear them from the mountains mentioned above. From the conversation amongst flight crew members, it was further disclosed that the estimated time of arrival was 10:27PM, which was passed to Bali Control. The pilot intended to make a right hand turn within 25 miles from the beacon, for a track out on 261 degrees, descending to 1,500ft followed by a procedure turn over the water for final approach on Runway 09, which was the runway in rise given by Bali Control. As recorded by the cockpit voice recorder at approximately 10:18PM, the crew observed that ADF number one was swinging, while ADF number two remained steady. A few seconds later, at 10:19PM, PA-812 reported to Bali Control that he was over the station, turning outbound descending to flight level 120. This was acknowledged by Bali Control and PA-812 was then instructed to change over to Bali Tower. Having established contact with Bali Tower, PA-812 reported making outbound procedure flight level 110 and requested lower altitude. Clearance was given by Bali Tower to descend to 2,500ft, with instructions to report at that height. At 10:23PM, PA-812 reported reaching 2,500ft. The crew, in an attempt to expedite their approach into Bali Airport, elected to execute an early right hand turn for track out on 263 degrees. By using this type of approach, they were prevented from knowing their tract position. Such an early turn would necessitate the pilot’s obtaining an early indication on the ADF that the was nearing the NDB. Evidently, the right hand turn was made at the time when only one of the ADF needles swung. According to the reconstruction of the flight path, based on information obtained from the flight recorder, it is evident that the right hand turn was made at a position approximately 30 NM North of the beacon. Although several attempts were made to regain proper indication on the ADFs after the turn, the Board believes that this would not have been possible since the aircraft would be shielded by the mountain range. However, the approach was continued as planned resulting in a collision with high ground. The flight data recorder and cockpit voice recorder read-outs revealed no evidence of any aircraft abnormality during any part of the flight prior to the accident. The aircraft was properly certificated and airworthy at the time of accident. There was no sign of explosion prior to impact. There was no evidence of any break up in flight. The flight crew was properly licensed, and experienced to carry out the flight. However, from the available data, the Board was led to believe that the pilot-in-command was not very familiar with the Indonesian Aeronautical Information Publication, specifically related to local procedures at Bali International Airport. 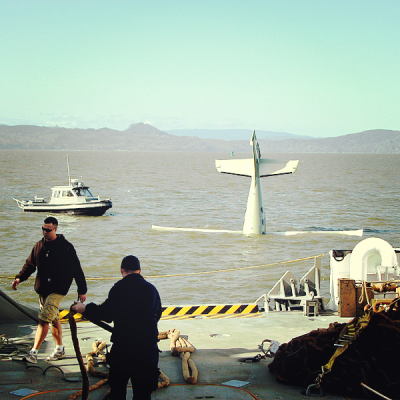 The weight and centre of gravity of the aircraft were within allowable limits at the time of the accident. One of the ADFs swung, while the other remained steady, when the aircraft was still about 30 NM North of the beacon. At this point, the pilot initiated a let-down procedure by making a right hand turn for track out on 263 degrees, assuming that he was nearing the NDB. No evidence was found regarding the possibility of interference to the ADF induced by radio broadcasting station. The Board has not succeeded in determining the cause of the needle swing of one of the ADFs. It may have been caused by either external or internal interference. Operators should encourage pilots towards a more thorough knowledge of the aeronautical information published in the Operations Manual for a certain airport, to avoid the possibility of divided attention during the critical stages of the approach. Vigilant observation by the Operator’s Flight Safety Officer to help them avoid accidents due to human error during a possible accident prone stage in the course of their career would be welcomed by even highly experienced pilots. Although it has no bearing on this particular accident, the installation of a DME in addition to the existing VOR at Denpasar would be of great help to aircraft. The crash was a wake up call for Pan Am. Flight 812 was the third 707 the airline had lost in the Pacific (region of operation, Pacific and Australasia operation) in less than a year after Flight 806 in Pago Pago, hitting a low hill on January 30, 1974 in a thunderstorm and bursting into flames, killing 96 of the 101 on board, and Flight 816 in Papeete, plunging on July 22, 1973 after a takeoff from Tahiti, killing 78 people. 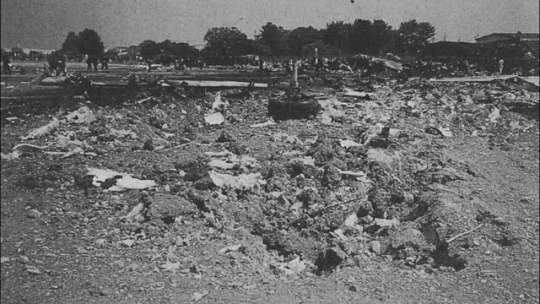 The third incident was Pan Am Flight 160 on November 3, 1973, which crashed on approach to Logan International Airport. Smoke in the cockpit (believed to be from the cargo) caused the pilots to lose control. Three crewmen were killed in the hull-loss accident. The crews of all three planes had senior captains known as “Sky-Gods.” Pan Am’s culture had instilled a superiority complex in these veterans, making them believe they were invincible. This lead to the errors that brought down Flight 806, 812, and 816 in less than a year. Following the crash Pan Am addressed the issue and encouraged an early form of CRSM. The Bali crash was the final 707 lost following the safety improvements. Around April 24, 1974, due to the April 22 crash, the Federal Aviation Administration ordered an in-depth inspection of the airline’s worldwide flight operations including pilot training, area qualification, operational procedures, pilot supervision and scheduling, line-check procedures, and other related matters of safety. The FAA did not criticize Pan American Airways or imply unsafe operations. They estimated about 3 months investigation time. On May 8, 1974, Pan American Airways ordered the installation of a new cockpit warning device designed to prevent crashes such as this April 22 incident. The entire fleet of 140 airplanes under Pan Am received the device. The apparatus was engineered and manufactured by Sundstrand Data Control, Inc. The ground proximity warning system provided additional indications, for example if a plane was heading for a mountain slope or if it was too low for a landing. This was an automatic supplement to more conventional altitude warning systems, already installed on most Pan Am airlines. The crash site apparently took three days ultimately for a U.S. military team to get to, although the Balinese could get there in about 12 hours. 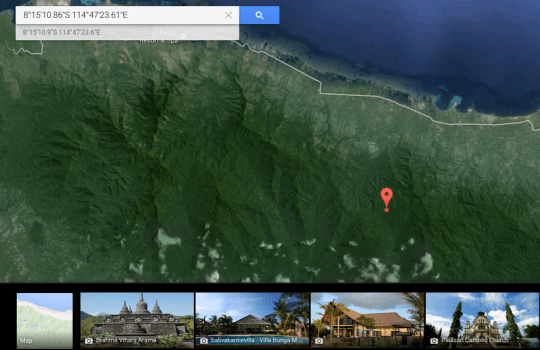 The plane wrecked in a very undeveloped area of Bali, covered in a jungle-like atmosphere. Bali rescue teams including Indonesian army units, doctors and ambulances were mobilized and sent out to locate the wreck. Taking nearly a full day for 30 men to make it through the dense atmosphere and up the mountain, they found that there were no survivors. Pan Am officials, representatives from the Indonesian government, crash investigators, diplomatic personnel from various countries and crash experts from the United States National Transportation Safety Board filled hotels in Bali on April 23. A command post was established in the Bali Beach Hotel by Pan Am. By April 24, Rangers of the Indonesian army grew to 300 men and began to remove bodies from the crash scene in the difficult area. They used methods such as lowering bodies by rope down the steep inclines. An idea to remove victims by helicopter was abandoned due to dangerous air currents and terrain. They estimated about a week to remove all bodies, weather providing. There was only about 1½ miles to the base camp at the village of Tinga Tinga, direct, but had earlier taken Rangers 7 hours to reach the wreckage by climbing. “We had been aware of how many people were on the aircraft. Around about 10:00 a.m. we found ourselves in northwest Bali looking up at a mountain, perhaps two or three miles away, and with binoculars, at the very top of it you could see sort of a black char. Apparently the Pan Am plane, as I understand it – and this is from reading some transcript of the black box several years later – navigationally strayed and was not where it was supposed to be. It was supposed to be coming into an approach at the airport to the south of the island and instead found this 10,000-foot mountain in its path on the northwest side. I cannot remember if this navigation error was described in the NTSB [National Transportation Safety Board] report on it. The plane hit some of the mountain, broke probably into the portion that dropped over the mountain. As I found out, it was only then that the aircraft fuel engulfed the plane and combustion occurred and anybody who would’ve been alive at that time would’ve been annihilated. 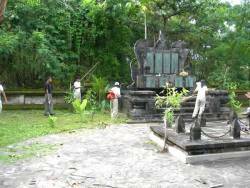 Confirmation of the crash began when the Balinese began bringing down body parts. There were no full bodies, but some torsos. They were brought down and put in bags. The FBI team was there to try to help with identification although to me it didn’t seem possible that this could happen. They set up a workshop in the hangar down in Denpasar and were convinced that they would be in a position to identify some of the remains. Reports from the scene indicted the many bodies had been thrown out of the plane and were scattered as far as 400 yards from the impact point. At this point, investigators still had no idea what the cause of the crash even was. The crews assembled once more on Mesehe Mountain, on April 25. That morning, they were to listen to the control tower tapes of conversations with the plane’s pilot, Captain Donald B. Zinke of California. 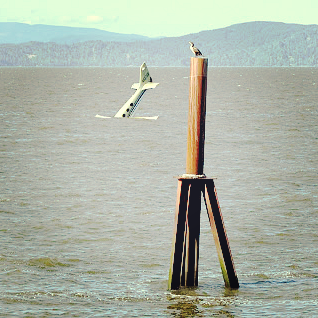 They had not yet found the flight data recorder. There was evidence to assume he had approached for a landing from the northwest, across the mountains. This was not the safer approach, which was from the west, across Selat Bali, a bay like body of water south and west of the island. The FBI had to give up trying to identify the bodies after only a few days. Two ceremonies were held on the beach thereafter – a cremation for the Shinto Japanese, and burial for the French Catholics. 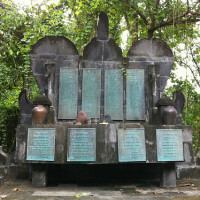 The April 22, 2014 commemoration of Bali’s worst air crash was held at the Pan American Monument, which is inscribed with the names of the deceased and is located on the banks of the Ayung River at Padang Galak. Several Memorial Plaques can be found for the crash in Jalan Padang Galak, next to the beach Temple, Kesiman, Denpasar East, Indonesia. Bali News article “Gone, But Not Forgotten”, © Bali Discovery Tours at http://www.balidiscovery.com, discusses the Balinese-style monument erected in the South, on the beach at Padang Galak, shortly after the crash. The dignified and serene monument bearing all the names of the 107 who died from 11 countries sits amidst a clump of trees on the bank of the Ayung River in Denpasar, just 5-10 minutes from the busy Jalan Ngurah Bypass in Padang Galak. “Over the intervening four decades, the monument has suffered a gradual decline resulting from the encroachments of the now-defunct Taman Festival and a benign neglect born of the passing years and fading memories. Prompted by the recollection that among those who perished on that fateful night in 1974 wasMaurice Raymond, the Corporate Vice-President for Food & Beverage of Hilton International, a group of Raymond’s modern day “Hilton colleagues” from the Conrad Bali Resort & Spa recently descended on the memorial to undertake a general clean-up and make Balinese offerings for the peaceful repose of the air tragedy victims. The photo below is from the Conrad Bali Resort & Spa Workers. 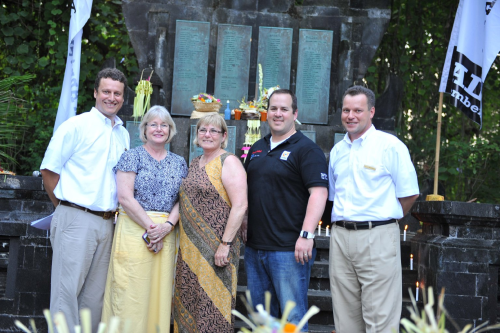 Above in this photo, from left to right: Conrad Bali Director of Business Development, Kevin Girard; Eileen Keating and Kathleen Keating (daughters of Flight Engineer Edward Joseph Keating); Scott Moser (grandson of Captain Donald Bain Zinke) and Conrad Bali General Manager, Jean-Sebastien Kling. Read more at http://www.etbtravelnews.com. “This year’s  inauguration ceremony, presided over by Master of Ceremony Mr. Anak Agung Gede Rai, commenced at 3:45PM local time with a traditional Hindu prayer offering followed by a bagpipe rendition of “Amazing Grace” and a musical tribute by the International Gamelan Orchestra. The Bali Community Choir performed and there were readings of Islamic, Catholic, Protestant, Hindu and Buddhist prayers. Conrad Bali’s team representatives, led by general manager Jean-Sébastien Kling, read all of the victims’ names aloud, with a gong sounding between each name.